Archiv | AFRICA FESTIVAL WÜRZBURG - The Original! Archiv | AFRICA FESTIVAL WÜRZBURG - The Original! Start of the show: 08 p.m. 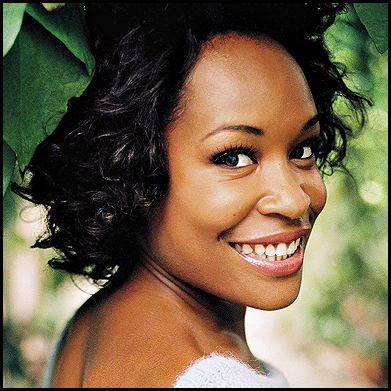 Her debut album ´Fatou´ (2011) featuring the hit “Sowa“ conquered the charts of the world music scene. She was the lead of several movies and theatre plays. Her last projects were the collaboration with Cuban musician Roberto Fonseca (”At Home“ / 2015), the fusion album “Lamomali“ (2017) with French rock musician Matthieu Chedid, as well as the documentary “Mali Blues“. Last year she performed on stage at the Africa festival with Tuareg Ahmed Ag Kaedy, one of the protagonists from this movie. By popular request we have invited the fighter for the rights of women in Africa again to make the festival tent boil. In 2013 she received the Africa Festival Award. Start of the show: 10 p.m. Ever since Emmanuel N´Djoké Dibango, born in Douala on 12 December 1933, rather randomly conquered the charts in the USA with the song “Soul Makossa“, the B side of his single, everyone has been talking about him. 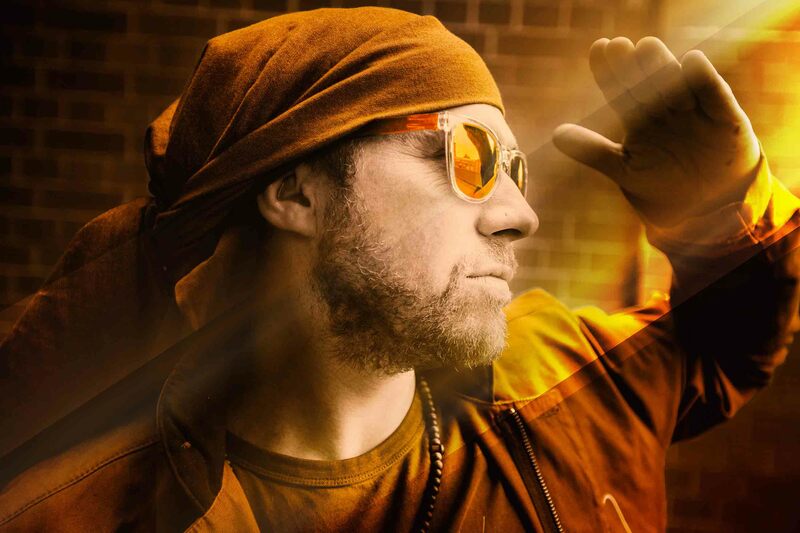 With his great talent as a saxophone player and pianist, he manages to add his personal African touch to any style, whether it is funk, bebop, jazz, hip-hop or reggae. His albums “Gone Clear“ (1980), “Electric Africa“ (1985), “Afrijazzy“ (1986) and “Wakafrika“(1994) are milestones of the African music scene. 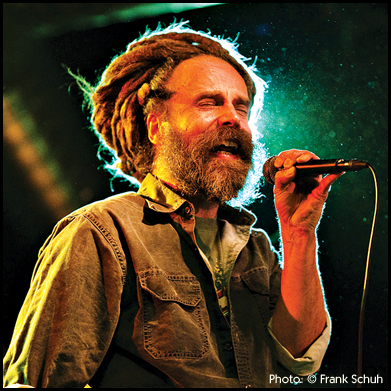 His duets with Lucky Dube (1998) and Klaus Doldinger (2008) were unforgettable highlights of the Africa Festival. Thus he feels honoured to once again take over the patronage at the 30th anniversary of the festival. Lokua Kanza has been accompanying the Africa Festival like no other African artist. Ever since his first performance in 1998 at the 7th Africa Festival, he has been enthusing the audience with his performances again and again with timeless and terrific musical quality. Having an anniversary without him would be unthinkable. 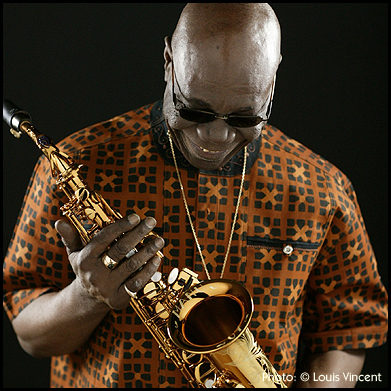 In 1991 he took his first big steps in the “Soul Makossa Band“ of Manu Dibango and the “Bwana Zolou Gang” of Ray Lema. They inevitably lead him to a successful solo career. As a songwriter he even wrote some tailor-made songs for the amazing Miriam Makeba (CD “Homeland“ / 2000). Therefore he will remember the great Mama Africa during this concert evening in the main tent, too. In 2006 he was given the Africa Festival Award for his musical talent. Ever since she took her first musical steps in Jasper van’t Hof’s formation ‘Pili-Pili’, Angélique Kidjo has been continually advancing her music and has arrived at the Mount Olympus of international musicians. Several Grammy awards, projects with Carlos Santana, duets with Alicia Keys, the release of her biography “Spirit Rising”, as well as her work as an UNICEF ambassador are only a fraction of her sublime career. Today Benin-born power woman Angélique is living and commuting between New York and Paris and always looking for new challenges. Her great role model: Miriam Makeba! At Miriam Makeba’s official farewell concert here at the 18th Africa Festival in 2006 she was present on stage and performed “Malaika” in honour of her. She ranked second in the voting of the audience. His hit “No More Cigarette Abana“ will not be the only song which Habib Koité will sing together with the festival audience when he’ll step on the stage of the main circus tent for the 7th time since his first performance at the 8th Africa Festival. 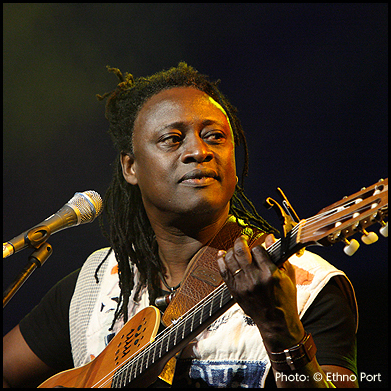 Despite his growing success, the exceptional guitar player and singer from Mali has remained the same sociable and nice person. 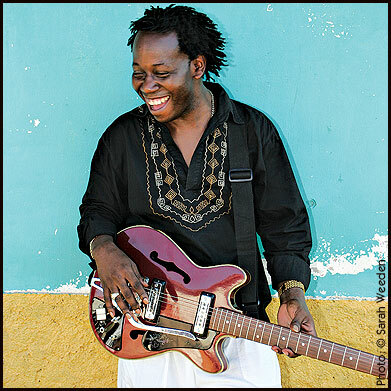 Today he spends his time jamming with blues man Eric Bibb (“Brothers In Bamako“ / 2012), gathers the musicians of his house band to occasionally perform at his own hotel “Maya´s Place“ in Bamako or set out with them to a big world tour. Thus, the 30th anniversary of the festival in Würzburg is a must for him and us. He ranked 3rd in the voting of the audience! It’s impossible to listen to Hot Water. To just listen. Because when Donovan Copley, the band’s founder, frontman, and creative heart, starts singing, playing (often his iconic African guitar), jiving and jumping around on stage, backed up by a mix of stellar South African musicians who are as diverse as the country itself, you can’t sit still…! The music – Copley calls it ‘South African Folk-Rock’ – mixes the sounds of traditional mbaqanga, kwela and maskanda with a more contemporary folk rock vibe, which is utterly danceable. Everything is interwoven by Copley’s raw, sweet voice and inspiring, almost dreamlike lyrics…“Easily one of the most exciting musical projects to come out of SA“ (The Citizen). In the caste of the West African griots playing the kora is traditionally passed on from father to son. Therefore the squad of outstanding kora virtuosos like Toumani Diabaté, Ballaké Sissoko or Tata Dindin, has always been a squad of men. Until a young woman, born in London in 1983 and a cousin of Toumani Diabaté, broke this tradition and has become one of the best of her field herself: Sona Jobarteh! As a griotte, it is her goal to understand the world and tradition of her ancestors from the Gambia and to pass them on to the younger generations, particularly to girls, in her own way. In Brikama / the Gambia she even founded the “Amadu Bansang Jobarteh School of Music“ for this purpose. After 2012 she will again be our guest at the festival. 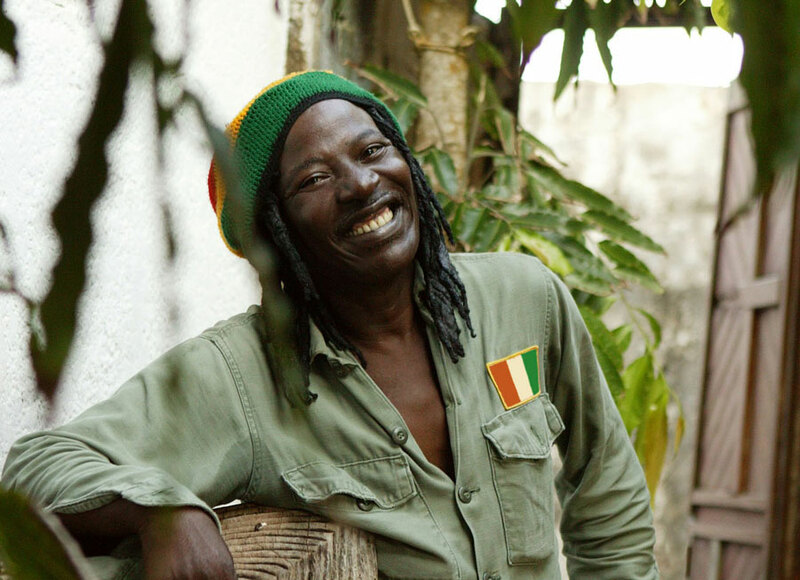 Besides Tiken Jah Fakoly and the late South African reggae star Lucky Dube, Alpha Blondy, born in 1953, is the reggae artist of the African continent. Every kid in West Africa knows his hits “Cocody Rock”, “Jerusalem” or “Sweet Fanta Diallo”. 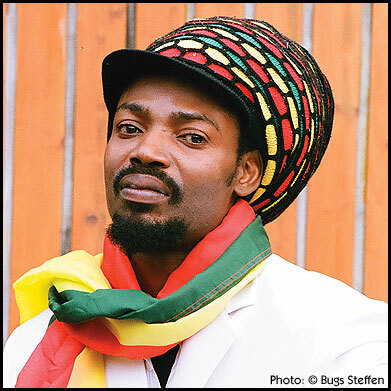 He and his formation “Solar System” are regular guests at worldwide annual reggae festivals. Every time he is there, he once again proves that good reggae vibes must not exclusively come from Jamaica, but can also be made at the black continent. 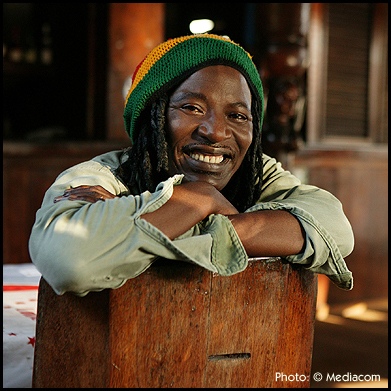 By the way, politically and socially committed Seydou Koné, which is Alpha Blondy’s real name, gave his first concert in Würzburg at the 4th Africa Festival in 1992. It’s party time at the conclusion of the festival! He ranked 5th in the voting of the audience. Start of the show: 01 p.m. The Malian singer Sidiki Diabaté, is an outstanding beat maker and Hip-Hop producer and also known as the Prince of Kora. He is considered as the new star of African urban music scene. With his songs featuring Booba, Niska or Fataby, Sidiki has manages to make a name himself on the African scene. His song „C'est bon“ feat. Iba One et Niska“ on YouTube has already 7.155.360 views. 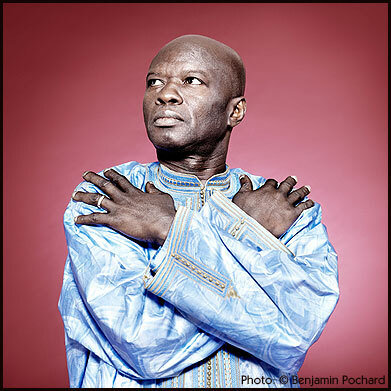 He performed on the world’s most prestigious stages alongside his father, the famous Master of Kora, Toumani Diabaté. He will have his debut concert in Germany at the International Africa Festival in Würzburg. In 2001 the first Africa Festival award was given to the group Daara J for its musical talent and dynamic performances. After very famous solo projects the members of the group are now performing together again. Ever since their album “School of life“ Faada Freddy and N´Dongo D have been the heart of the Daara J Family. They label their music as socially committed “hip-hop born in Africa”. 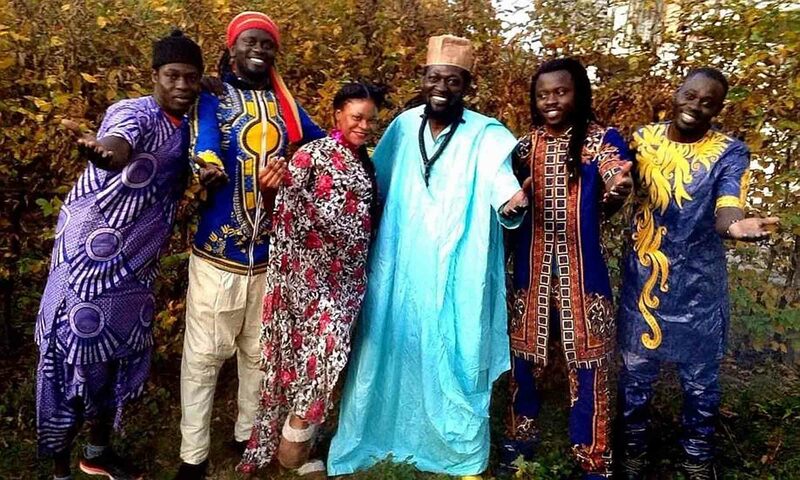 Their lyrics are in Wolof, French and English and in their music they combine the tradition of Senegalese griot with hip-hop, soul, funk and reggae. 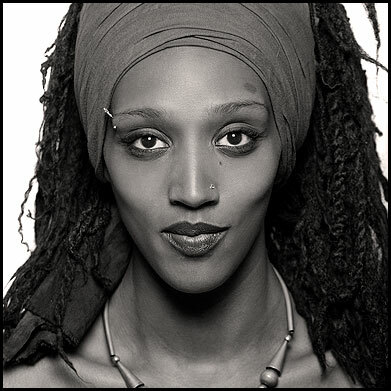 In 2001 she had the privilege to start off the 13th Africa Festival with French guitar player Colin Laroche, who would later become her husband, as an acoustic duo, which was back then still completely unknown. Ever since this first performance, her career as an expressive musician and artist has been skyrocketing. Thus, in 2009 she received the coveted Grammy award in the category “Best Urban & Alternative Performance“. In 2010 the audience of the festival could assure itself of her talent. By popular demand we are delighted to welcome her on the Open Stage again. 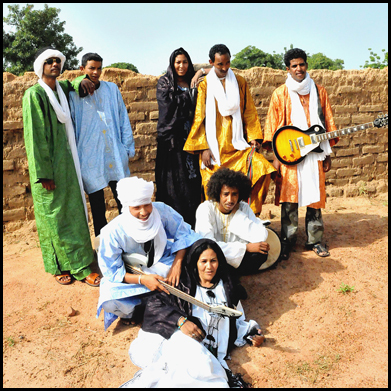 In 2010 Alsarah founded the Nubatones in New York with her sister Nahid. Until then she had been leading a chequered life. She was born in Khartum in 1982 and had to flee via Yemen into the USA in 1989 with her whole family. In the USA she successfully graduated in ethnomusicology, in the meantime was training her voice in various world music choirs, and was a part of the “Nile Project”. 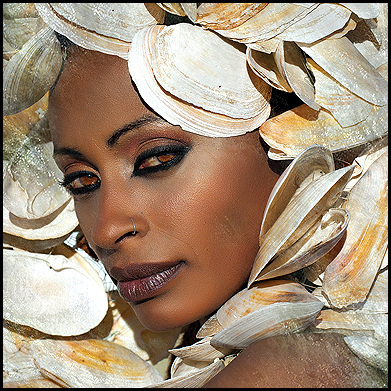 Currently with the Nubatones she is successfully alternating between traditional rhythms, afrobeat, pop and soul. Her new and sensational album is called “Ya Watan”. Start of the show: 05 p.m.
Mariama Jalloh was born in Freetown/Sierra Leone. She grew up in the German town Bergisch Gladbach and today feels at home in Paris, as well as Cologne and the rest of the world. 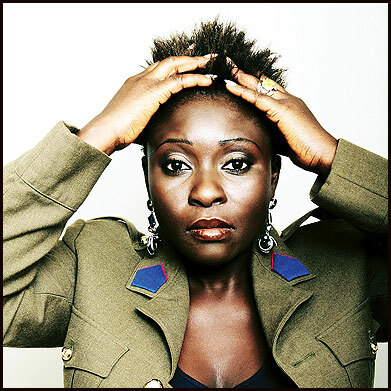 She took her first musical steps with Adé Bantu’s “Brothers Keepers” and his “Afrobeat Academy”. In 2012 the singer and songwriter released her debut album “Easy Way Out”. Since then her voice has been appreciated by West African stars like Moh!Kouyaté (“Darre“) or Faada Freddy (“I Need A Dollar“), too. Orquesta Mercadonegro or “black market“, which is the translation of the band’s name, is one of the best salsa bands. Over the years, the band has become one of the most popular groups for Latin-American music. Founded by José Armando Miranda, Cesar Correa and Rodrigo Rodriguez, in the meantime, the trio has turned into a band with 11 members who have their roots in Cuba, Colombia and Peru. They carry salsa into the world with a lot of passion and infect any audience with their enthusiasm. No one can resist dancing and there will be no shirt left dry! Start of the show: 03 p.m.
“Gangbé“, a word from the ‘fon‘ language in Benin, can be roughly translated to “sound of metal”. The musicians of this band, which consists of 8 members who play the trumpet, trombone, tuba and various percussion instruments, have been enthusing the audience of the African world music scene with impressive live performances since the year of foundation in 1994. Traditional “juju” or “voudoun” rhythms are blending with modern jazz harmonies in big band arrangements and sometimes turn towards afro beat. It’s time to dance! Dellé, old hand of ‘Seeed’ with Ghanaian roots, Ganjaman, germanophone reggae artist from the very start, Jahcoustix the positive vibes man of the scene, and experienced roots reggae player Sebastian Sturm meet the excellent classic backing band ‘Klub Kartell’. 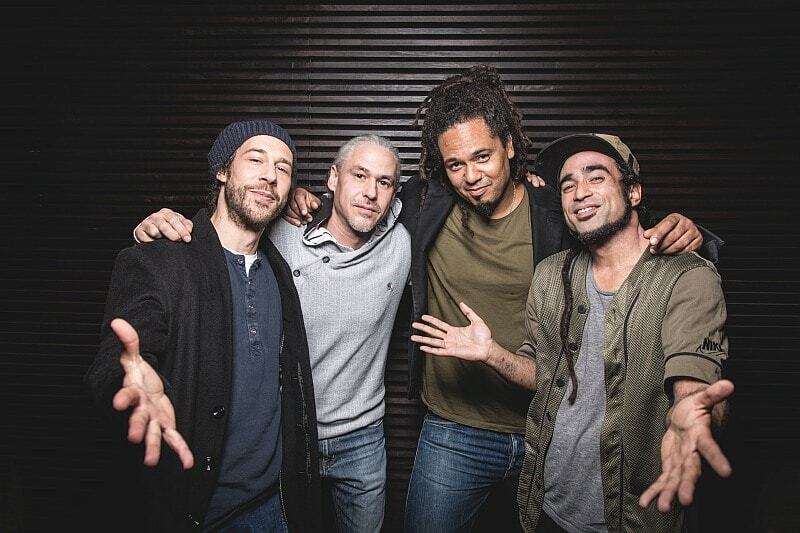 Ever since the founding of the band in 2016 and various gigs with artists like Mykal Rose (Black Uhuru), these five guys have become more than just an insider’s tip in the German club reggae and dancehall scene. It’s time for an electrifying and unforgettable live reggae party! The woman behind "Ace Tee" is Berlin-born hair stylist Tarin Wilda who is living in Hamburg. With her partner Kwam.E, who was also born in Ghana, she is rapping in German in true hip-hop fashion. In 2017 they actually managed to score a viral hit in the USA with the song „Bist Du Down“. Thanks to their fashionable appearance even Vogue magazine noticed them. With their four stage dancers and a DJ you are guaranteed to have a really good dance! 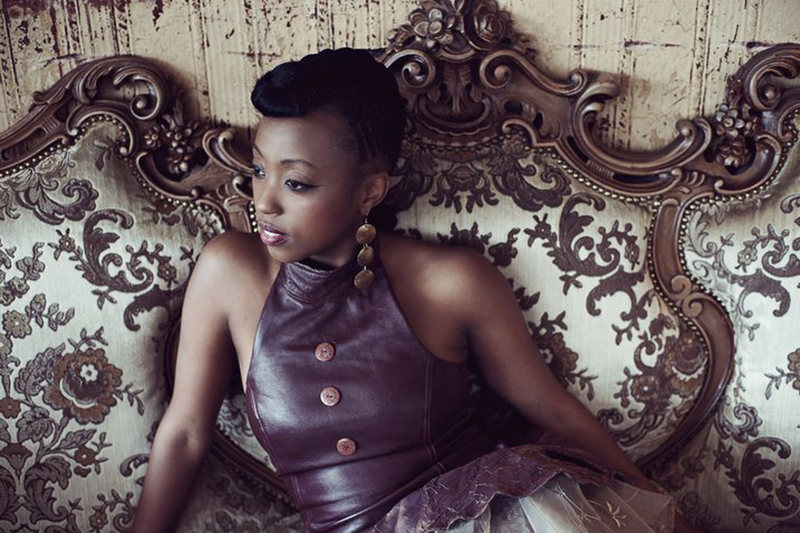 Ever since her first performance at the 28th Africa Festival and her second CD “Seasons”, Ami, daughter of famous world music fusion musician Wally Warning, has evolved into a confident songwriter. With the Caribbean island Aruba in her blood, by this time she is not shying away from also singing in German, which can be heard in her well-made song „Untertauchen“. 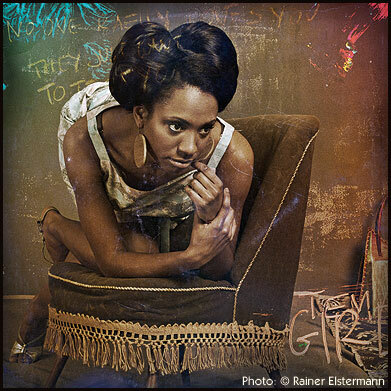 Let’s look forward to a lot of groove and soul from the young singer who is living in Munich. 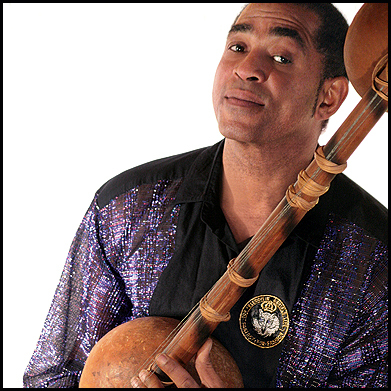 In 2001 Patrice Babatunde Bart-Williams enthused the audience of the Africa Festival for the first time. Since his debut album “Ancient Spirit“ (2000) he has continually been evolving and his last album “Life’s Blood“ (2016) has become another timeless milestone in his career. The likeable songwriter feels equally at home in his hometown Cologne, as well as in New York, Paris or the home country of his late father: Sierra Leone. A special anniversary present for the loyal audience in front of the open stage! This year the Afro Project team from Würzburg is once again looking forward to present a programme full of small and big highlights at the festival. Last year the focus was on Cuba, this year the Africa Festival thematically returns to the African continent; via the Cape Verde Islands and Senegal. At the time of the slave trade with America and the Caribbeans, the Cape Verde Islands served as an intermediate stop for the slaves from West Africa. While the Islands were under Portuguese administration, some of them stayed there forever. 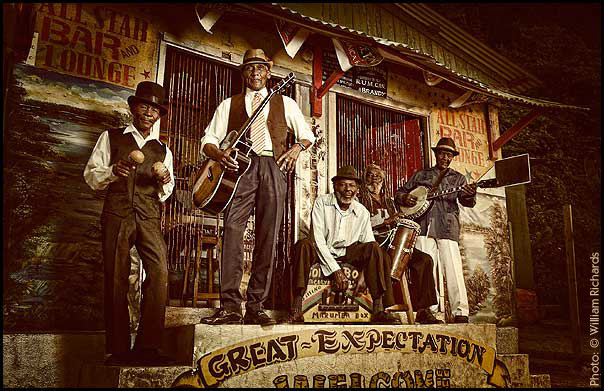 Thus today, the ancestors of the slaves have influenced the music and culture of the Islands. Sara Tavares, Tibau Tavares and Elida Almeida will give you the opportunity to discover the music of the Cape Verde Islands. Offshore of Senegal is the island Gor’ee with its slave fort. 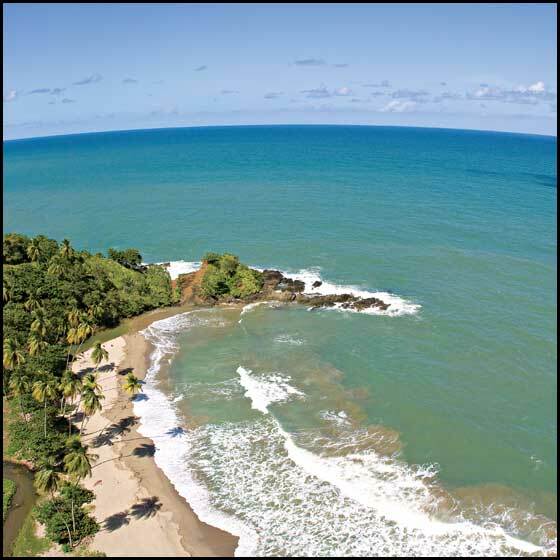 Here, the West African slaves had the last chance to take a look at their home continent. Senegal features a long history of music, which has grown steadily. 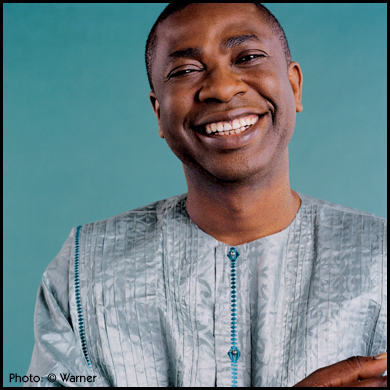 Youssou N’Dour is the worldwide known embassador whose tama player Assana Thiam and ensemble will open the festival. Rising star Wally Seck, as well as Faada Freddy, Marema, Awa Ly, Moussa, Takeifa and other high-quality musicians will show their talent and reflect the variety of their country. We stay in West Africa and travel with Eneida Marta to Guinea-Bissau and Fafa Ruffino to Benin. Afterwards, in Mali, we can look forward to see the Festival award winners Salif Keita and Fatoumata Diawara again and meet spectacular newcomer Inna Modja. The young festival veterans Mellow Mark, Dellé and Jahcoustix will prove that even in Germany Africa can be very close. A visit to the photo exhibition of Youri Lenquette could be a great way to start the festival. He has visited Senegal multiple times and captured the zest for life there. At the festival ground, the big bazaar with African art treasures and culinary delicacies, as well as info booths in the bamboo hall, the Havana Club and the inviting relaxation area where you can enjoy Moroccan teas awaits the visitors. TV channel ARTE is again the media partner of the Africa Festival. The ARTE movie tent gives the viewers insights into the life in Senegal. In two special movies (“Mali Blues”, “Sarabah”) you can see musicians who will also perform on our concert stages this year. In the daytime, you can laugh with storyteller Ibu or marvel at the artististry of Adesa, in the evening you can dance to reggae music in the new multitent. You mustn’t miss the fashion shows of designer Rama Diaw with her charming models, which takes place daily starting Friday. Have fun experiencing the rich culture of West Africa! In 2001, the ‘Africa Festival Award’, which was presented for the first time that year, went to the young and congenial Hip Hop formation ‘Daara J’ from Senegal. It was not just Lord Aladji Man, N`Dongo D and Faada Freddy who played their way into the hearts of the Africa Festival audience with their performances on the open stage, the special guest, Patrice, in the main tent and on the dance floor in the AKW, did, too. 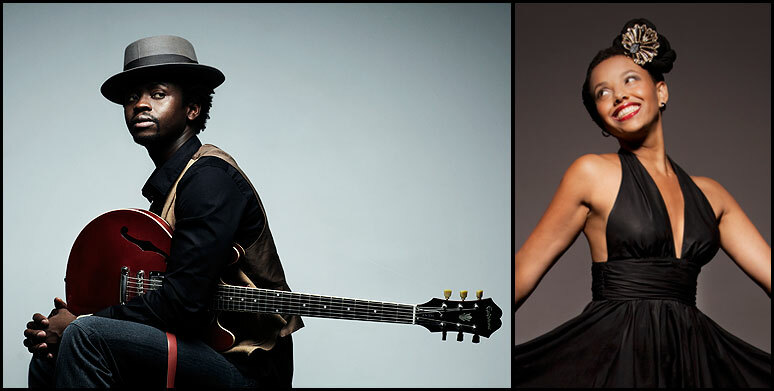 Now, 16 years later, ‘Daara J’ has changed, the musicians have become more mature and follow their own solo projects. In his chosen home of Paris, Faada Freddy, alias Abdoul Fatah Seck, has embarked on a ‘Gospel Journey’. His instrument: his extraordinary voice. You can look forward with great excitement to an unforgettable A-Cappella concert with lots of soul, jazz and R & B, presented on a body-percussion-carpet. Wally Ballago Seck, who comes from a Griot family, actually wanted to be a professional footballer in Europe. However, fortunately for the Senegalese music scene, it did not happen. 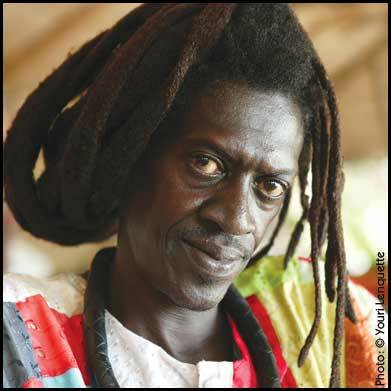 With the help of his well-known father, Thione Seck, he was able to find his feet in Dakar with his band, ‘Raam Daan’, and start-out on his career as a (later-starting) musician. His current album, ‘Xel’ (Spirit), has now made musical history in Senegal – in fact, it is the most purchased album in the whole of Senegal. The singer, composer, author, and also an actor, was chosen as the ‘Man of the Year 2014’ by the ‘Observatory of Music and Arts’ organisation (OMART), and he, and his big band, are going to be performing at the International Africa Festival in Germany for the first time. The pioneer of world music will be seen on the stage of the Africa Festival for the sixth time. Born in 1949, in the small village of Djoliba in Mali, this exceptional artist can trace his family back to the founder of the Mali Empire, Soundiata Keita, in the 13th century. However, as an albino, he was only accepted by his own family after his artistic successes. He is committed to the Albinos of Africa cause and has been rightly honoured with the coveted ‘Africa Festival Award’. “The music is like a tree. The roots are African, the trunk is jazz, and all the branches, twigs and fruits are the different stylistic directions”, he explained. 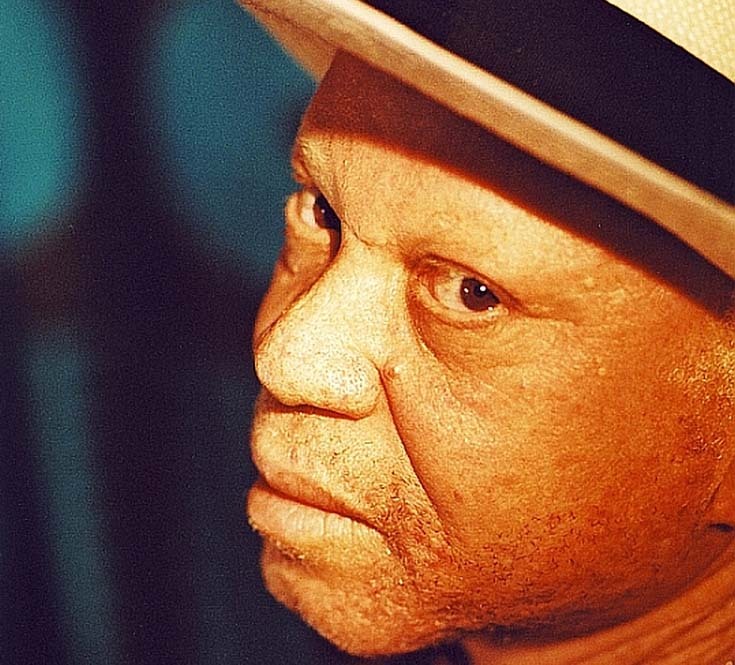 Salif Keita himself has now climbed all the heights of this music tree and will enrapture the audience once again with his current musical treasure. Life, love and a homage to strong women – these are the subjects of the songs of UNICEF-Ambassador, Eneida Marta. She composes herself, but is also inspired by the great male artists of her country, such as Ernesto Dabo or Zé Manel. 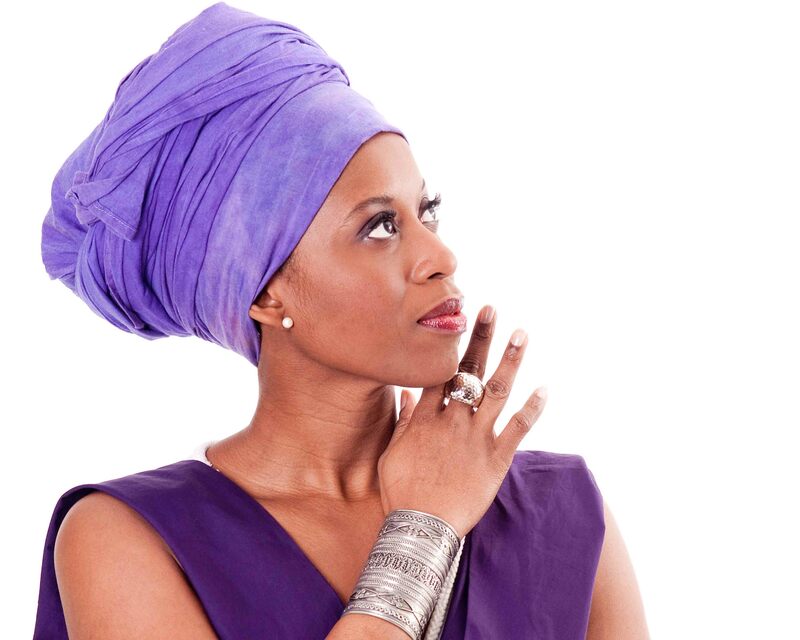 She creates gentle Kora sounds, jazzy piano chords and sparkling guitar riffs, which are lightly combined with the rhythms of her country, and enhances these sounds with her extraordinary voice in Portuguese or Guinea-Bissau Creole. Indeed the greatest compliment was paid to her by Lokua Kanza who said “I've never been to Guinea-Bissau, but when I hear Eneida Marta’s voice, I understand the country straight away!” The audience is sure to be convinced of this when they hear her at her German premiere at the International Africa Festival. 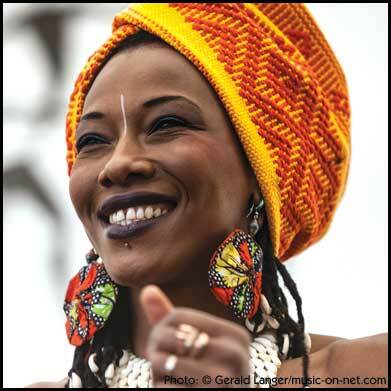 Fatoumata Diawara is one of the most passionate spokeswomen and ambassadors for justice, peace, freedom and women's rights, far beyond the borders of her native Mali, and this not just since her successful debut album, ‘Fatou’ (2011). However, first of all, she made a name for herself as a sought-after theatre and film actress, such as in ‘La Genèse’ directed by Cheick Oumar Sissoko. 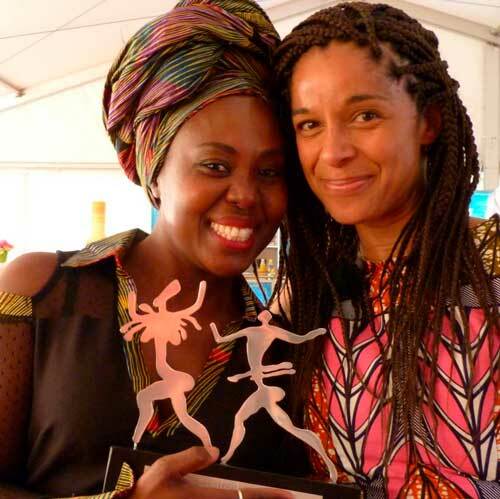 Honoured with the Africa Festival Award 2013, she is now to be seen as the main actress in the film, ‘Mali Blues’, which can also be seen on the festival grounds (ARTE-Kinozelt). For this evening, she has brought the other film protagonists, the Tuareg musician, Ahmed Ag Kaedy, as well as the rapper, Master Sumi, who will once again take us to the expanses of Mali with her music. Marema Fall, the power-woman from Senegal, delighted the audience on the open stage at the 27th Africa Festival. She has won several awards and, after receiving the RFI Award 2014 in the category ‘Best female artist of Africa’, has been seen as a ‘shooting star’ in her native West African native country. She learned her musical craft at the music school of the ‘Douta Seck’ cultural centre. Her mentor, Edu Bocande, encouraged her to not only work traditionally, but also to experiment with other styles, such as rock, pop or jazz. Under the production management of Alpha Blondy's guitarist and arranger, Mao Otayeck, she made her breakthrough with her singles, ‘Femme d'affaires’ and ‘My Friend’. Now there is her great performance in the main tent to enjoy! Born in Berlin, Frank Allessa Dellé, the son of a Ghanaian doctor and a German nurse, spent several of his school years in Tamale in northern Ghana. Experiencing a variety of life situations and his first work with the ‘Positive Vibrations’ Reggae formation, he has (as a trained film sound engineer) now landed again in Berlin and, as their front man and a co-creator of their sound, has joined the band, ‘Seeed’. 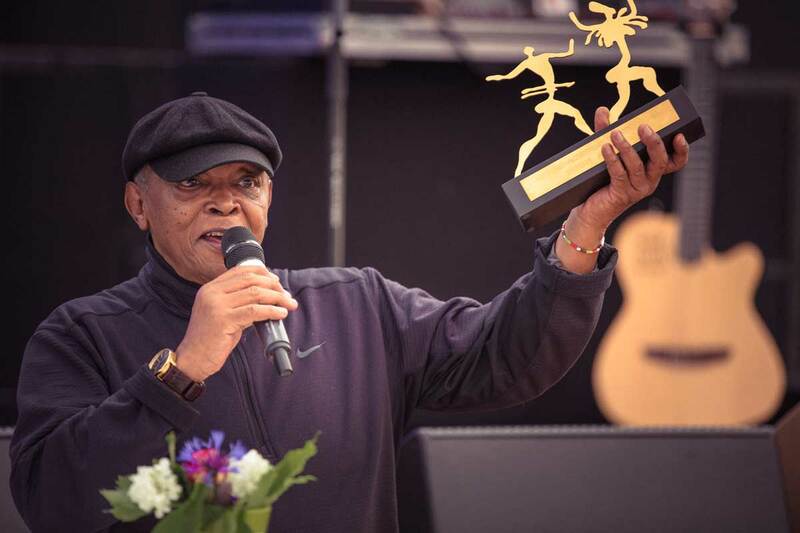 The multi-talented Dellé, whose qualities are also popular with German film productions, has always followed his own song ideas over the years. 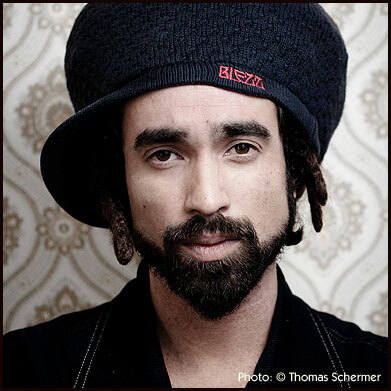 With his current album, ‘Neo’, he has now hit the big time and this has catapulted him into the highest category of a German Reggae musician. So, to end the festival, it is time to rock out again! 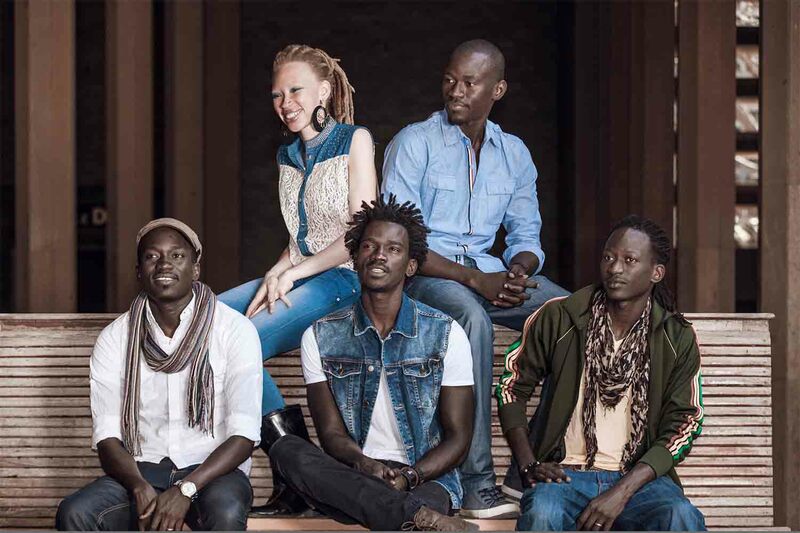 Whether it is Afro-pop, soul, funk, zouk or rock – the five Keita siblings Jac, Cheikh, Ibrahima, Fallou and Maah have been creating a new urban sound on the streets of Dakar for some years. They represent a new, young generation in Senegal which is exploring new paths without forgetting the roots. Stylistic variety and socially motivated song lyrics are equally important for their music. "One Band, one Family, one Voice!" – this family feeling will also appeal to the audience of the open stage. When the electronic duo Rebecca and Janosch Blaul from Würzburg moved to Berlin, they found a like-minded ally in Sepp Singwald. Their house and pop music, which is full of electronic beats, was perfect for a blend with the matching world music of the Cape Verde Islands. 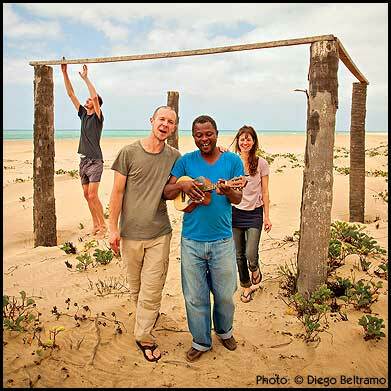 On the island of Maio they met Tibau Tavares and the album "Tibau", as well as the documentary "Momento", were successfully released in 2013. After having already performed at the 26th Africa Festival in 2014, they will once again invite us to come along on their special island journey. 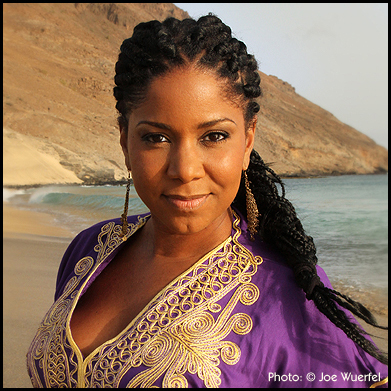 The voice of Ahouefa "Fafa" Ruffino is reminiscent of the young Angeliqué Kidjo. She was also born in West African Benin and gained her first musical experience in the jazz clubs of her hometown Cotonou. After having starred as an actor in various TV shows (e.g. "Bisso Na Bisso"), Fafa decided to dedicate herself to her career as a singer at her new home in Paris. In 2011 her first album "Ilé" was released. Recently she collaborated with Lokua Kanza and his family and will introduce her new album "Satila" at the Africa Festival. Moussa Ndiaye has been introduced to the art of drum playing at the young age of five. Thus he is perfect at playing the furry Sabar drum of the Wolof, as well as the talking drum or djembé. Internationally known musicians like Thione Seck appreciate his skills and invite him to tour with them. 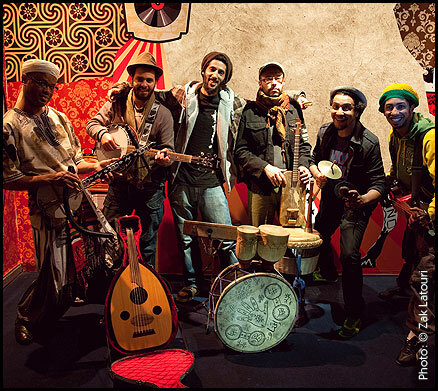 With his own band “N´Guewel Begg Fallou Family“, which consists of several sabar players and two dancers, he will light up a true percussion firework on the open stage. Being born to Senegalese parents in Paris, multi-faceted exceptional artist Awa Ly is living in Italy today. There she started her acting career and was already seen in various movies like "Black and White" (2008). With her other passion singing she embarked on a personal journey and constantly explores new areas. Whether it is R&B or soul, e.g. in the duet "Here" with Faada Freddy of Daara J, she never forgets her Dakar roots. Mark Schlumberger aka Mellow Mark was born in Reutlingen and is known as a recurring guest of the Africa Festival. During his last performance at the festival in 2010, he introduced his Morocco project. This time, his stops on the African continent were Senegal and South Africa. Thus he created the song "Elefanten" ("Elephants") with the famous singer, producer and dancehall MC Crosby Bolani from Capetown in his township Gugulethu. 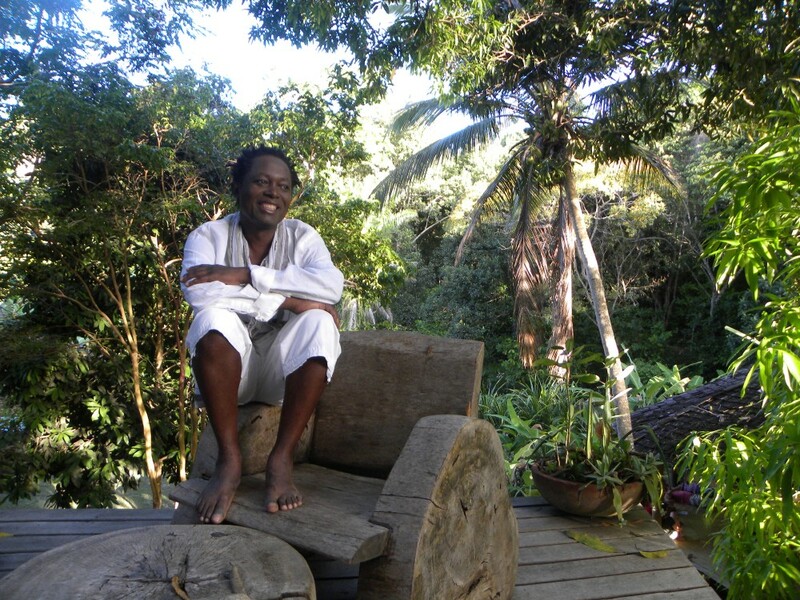 His new album is aptly called "Nomade" and he will perform it with the House of Riddim band and other special guests. Sister Fa, alias Fatou Mandiang Diatta, is a relentless ball of energy. Having been a victim herself, she is an activist against female genital cutting in Africa and also works for other NGOs. In her songs she addresses this predicament, as well as subjects like forced marriage and other iniquities women have to face. 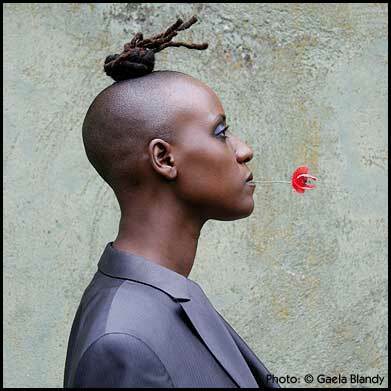 She has been honoured for her music (‘Senegalese HipHop Award for Best Newcomer 2005’) and dedication (‘Freedom To Create Award 2011’) several times and can also be seen starring in the documentaries “Sarabah“ and “Fonko“. When she was still a little girl, Inna Bocoum was already stubborn. Therefore her mother gave her the nickname “Modja“ which roughly means “Inna is stubborn“. Later in life, as a model and singer, she also went her own way on which she was encouraged by her mentor Salif Keita. 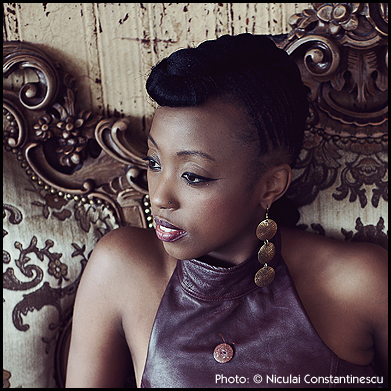 Hip-hop, soul, rap, pop and jazz seasoned with a strong pinch of Mali roots characterize her new album “Hotel Bamako“. A strong singer who commits herself to fighting for the rights of the women in her homecountry Mali. 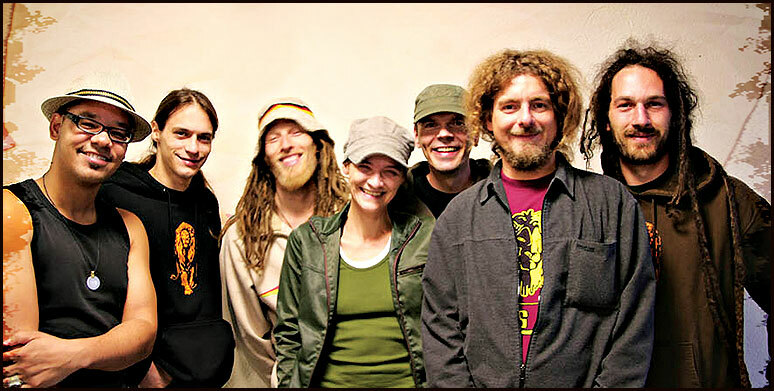 Whether he perfoms as a solo artist, with "Dubious Neighbourhood", the "Outsideplayers" or his "Yard Vibes Crew", Dominik Haas, alias Jahcoustix, is considered to be one of the best live artists of the German Reggae scene. Since he has been kissed by Reggae during his time as a nomad and diplomat’s son in Kenia, high-quality music has always been his trademark. After his impressive performance on the open stage last year, he will be doing a hat trick at the Africa Festival this year. The audience can expect phat, positive vibes with special guest performances. You’ve always wanted to know how to mix the classic original Cuban cocktail, “mojito”, right? No problem, as we’ve set up an extra “mojito embassy” on the premises for this very reason. The focus this year is on the Caribbean island of Cuba, which will be represented musically by six multi-faceted bands, headlined by the internationally-acclaimed Raul Paz. Cuba still has close ties to Africa today. Over 850,000 slaves were transported to Cuba in the 16th century, with the majority coming from the modernday Congo and Nigeria. They’ve left a lasting impression on the local culture. Further background information will be offered by the ARTE cinema tent, where 10 exciting fi lms will deal with the topic of Cuba. The photo exhibition “Cuba Mi Amor” is also worth a visit. A further focus will be on South Africa. 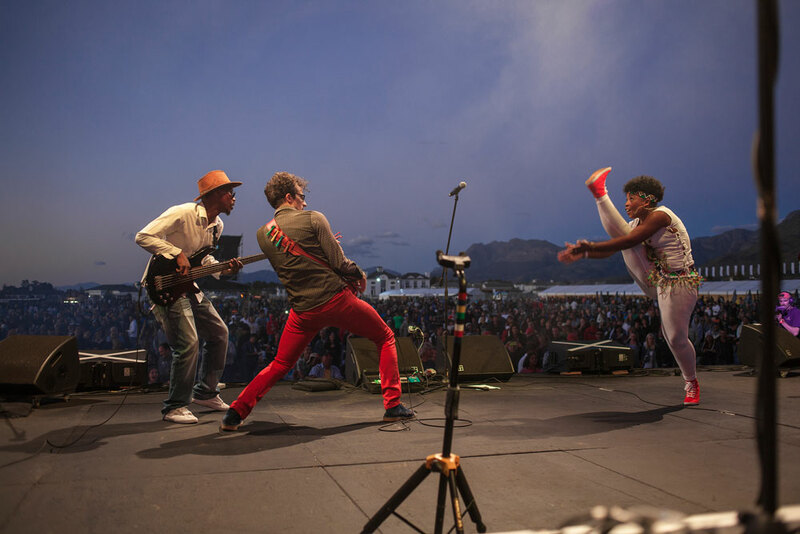 Three South African bands – the singer Lebo, the young band Hot Water and the great jazz legend Hugh Masekela – will get the festival off to a fiery start on the first day. The South African focus will be rounded off with two quite extraordinary exhibitions on Nelson Mandela. After a delicious little sip of South African red wine, you can experience even more world-famous stars in the main tent over the course of the festival days to come, with the likes of Lura, Lokua Kanza and Tiken Jah Fakoly. We’ve once again found it very important that a considerable amount of the 20 guest bands is made up of female voices and musicians. We’re also glad that many bands will be performing live for the first time in front of a German audience. There will be other interesting changes and novelties on the festival grounds. The Senegalese fashion designer, Rama Diaw, invites you to her fashion show with her latest collections, which will take place this time right next to the Havana Club. You’ll be able to find interesting info-booths again in the new bamboo hall. The relaxation oasis is the perfect place for those who need a little break. You can chill out there under the shade of the trees or in the Moroccan royal tent with a cup of peppermint tea, or you can watch the henna artists and hair braiders at work or marvel at the joyful street parades of Adesa. All the other popular Africa Festival highlights, such as the bazaar, the Havana Club, the children’s tent and the African culinary tasting area are on the programme just like every year. The German television broadcaster ARTE is a partner of the Africa Festival. “ARTE Concert” will be broadcasting the festival’s biggest concerts once again this year on concert.arte.tv and at the ARTE cinema tent films about Cuba will be shown. We wish you lots of fun on your journey into the world of Africa and Cuba! The Rolling Stone Magazin describes the man with the horn as one of the most thrilling live performers. The two times Grammy awarded artist is Africa’s most important Jazz and world musician. The artist who will celebrate his 77 th birthday, already played together with star singers such as Miriam Makeba and Nina Simone and jazz stars such as Miles Davis and John Coltrane. We are delighted to announce that Hugh Masekela will enthuse the audience of the Africa Festival for the third time. Together with his exceptional band he will perform danceable Afro beats and wonderful South African township Jazz from his new CD. Lura was born in Lisbon. Her parents are from the Cape Verde Islands. Thus she inherited the blood from the African islands. When she was 17, she started her career as a singer when Juka, who was born in Sao Tomé & Principe, booked her for a duet. 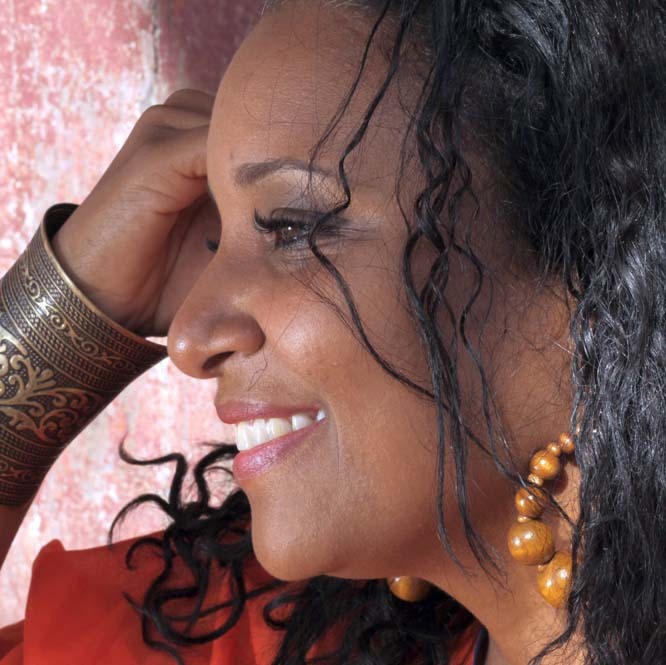 Many collaborations with artists like Bonga, Tito Paris, as well as the unforgettable Cesaria Evora followed. 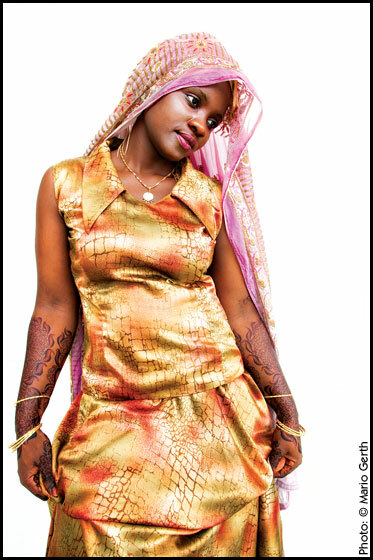 In 2005 she started her solo career with her album “Di Korpu Ku Alma” which received a number of awards. In 2007, she performed successfully at the 19th Africa Festival. 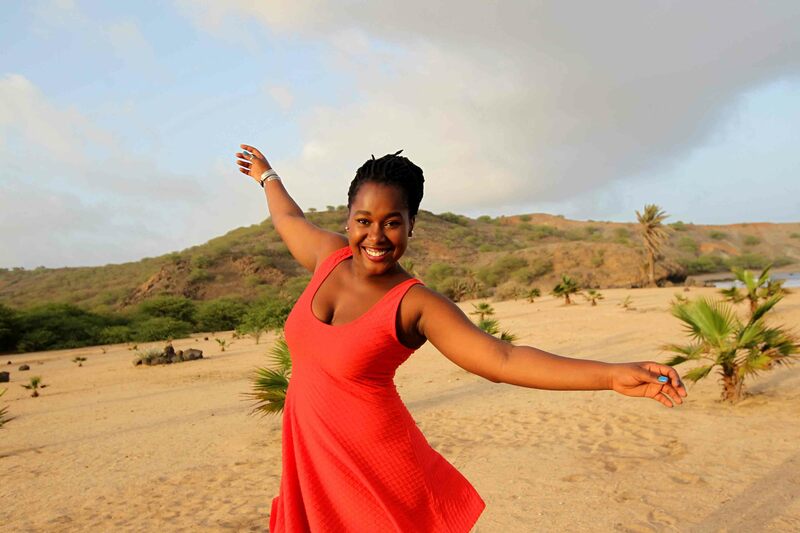 While the songs of most singers from the Cape Verde Islands are more melancholic, Lura will show us with her songs, which feature Batuku and Funaná elements, that the African rhythm fire also blazes on the Cape Verde islands. The excellent band with singer Mireya Coba Cantero will take the audience on a journey through Cuba‘s most beautiful musical landscapes. Energetic son, fiery salsa and moving rumba create a good mood and make you want to dance. Anyone who likes the music of “Buena Vista Social Club“ should listen to the music of Cuba Vista. Several guest musicians will join the band on stage. 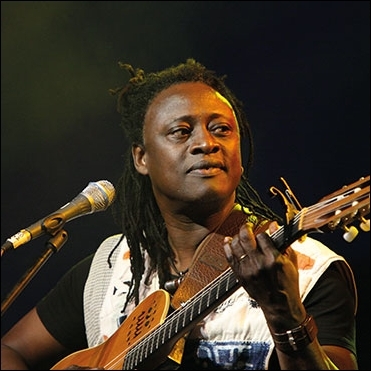 The singer and guitar player Pascal Lokua Kanza was born in Democratic Republic of Congo. 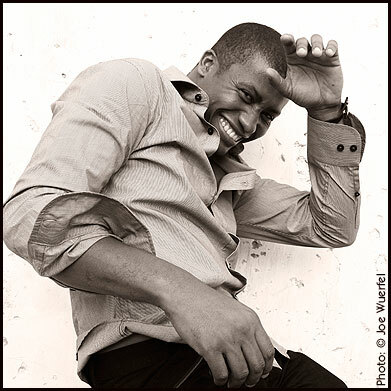 After his studies at the Kinshasa Music Conservatory, he relocated to Paris and studied jazz music. 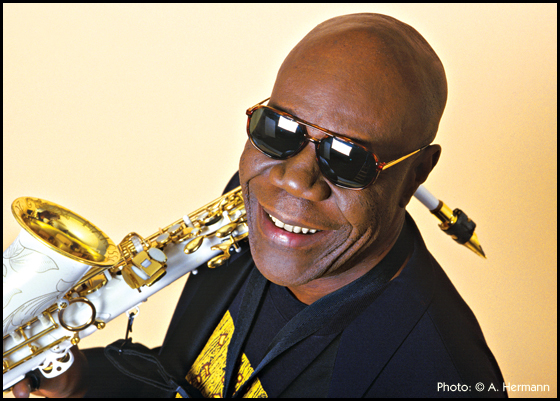 From 1991 he played with the Soul Makossa Band of Manu Dibango. His debut album was released in 1994 and awarded as “Best African Album“ at the African Music Awards. For the first time he enthused the audience at the Africa Festival in 1995, with his poetic and soft ballads. He is also in great demand as a producer for many African artists because of his distinct musical sense. He is one of the most popular artists of the festival. By popular request we invited him again. 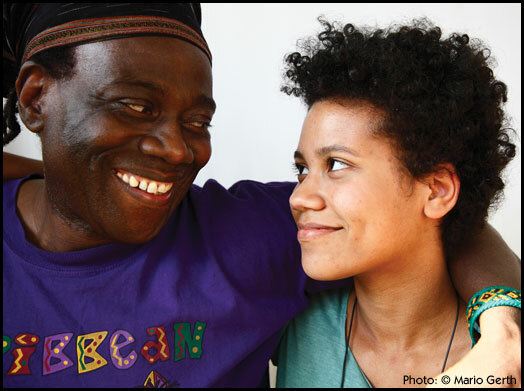 He will bring along his daughter Maleika who has already performed at the open stage before. Doumbia Moussa Fakoly has become one of the most important voices of the African continent. With his driven lyrics he brings up the grievances of Africa and thus mobilizes young people to change something about their social and political status. Unfortunately, because of his outspokenness he had to leave his hometown Odienné in the North of the Ivory Coast in 2003 and was exiled to Mali. Now the son of a griot lives in Bamako. In his studio he recorded his last project "Racines", which is a great hommage to reggae artists like Bob Marley or Burning Spear, and brought it to places as far away as Jamaica. 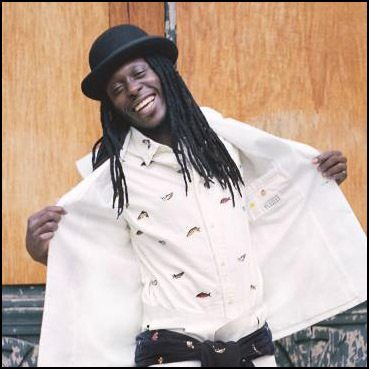 After his energetic performances in 2001 and 2006 he will once again enthuse the audience with his fine roots Reggae made in West Africa! Until their break up in 2009, Orishas were worldwide mega stars and the most successful hip hop band from Cuba. Their successful performance at the 12th Africa Festival in 2000 was their first appearance in Germany. Now the majority of the original members have formed a new band. 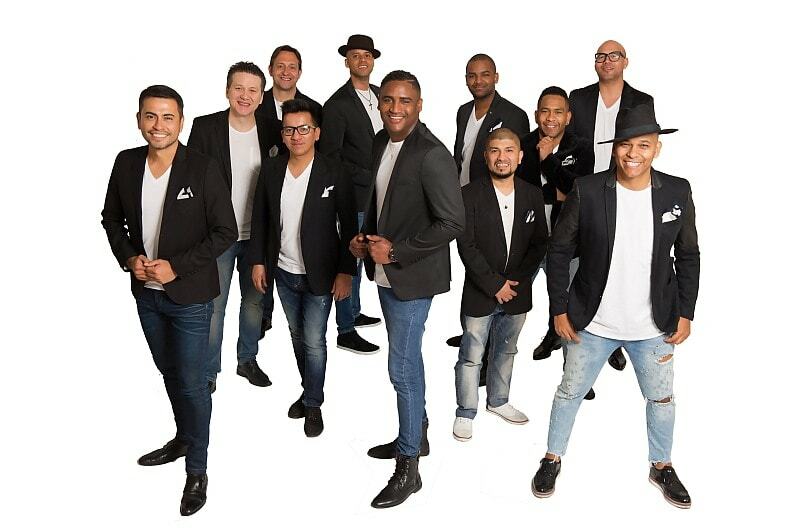 They called themselves Cuban Beats All Stars (CBAS) and also managed to get the exceptional musician, singer and composer Nelson Palacios on board who also plays various instruments. An exciting mixture of typical Cuban sounds and different instruments combined with electronic sounds, samples and fat urban beats! When the Cuban singer and composer Raul Paz performed at the Africa Festival for the first time in 2005, he was still living in France. In the meantime, he has returned to Havana, the city which is currently experiencing a great cultural and musical renewal. His style of music makes him one of the most important representatives of new Cuban music. His concerts in Cuba sell out even with little advertising. On his new CD “Ven Ven“, which he will perform at the 28th Africa Festival, Raul Paz mixes a modern Caribbean cocktail with the ingredients Latino pop, salsa, socca, reggae and rumba. His songs always feature fat horn sets and excellent percussionists. It will be a great “noche cubana“ of dancing! Olivier is an exceptional guitar virtuoso who has already played with the greatest of the African music scene, namely Papa Wemba, Youssou N’Dour, Lokua Kanza (with whom he is actually preparing a project), Manu Dibango, Ray Lema etc. Today, as a solo performer, he creates a colourful musical show accompanied by excellent musicians, a show that reflects the quality of this talented musician striving to excellence. 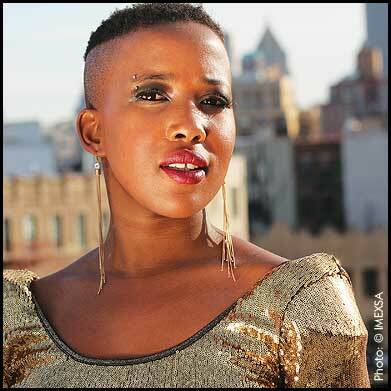 The South African singer-songwriter, Lebo Masemola, was born in the small town of Marishane in the province of Limpopo. Although she was still mostly singing to her beloved cows as a little girl, she moved to Europe when she was 17. She quickly found her feet in Hamburg and broke into the local music scene there. After collaborating with Nneka, Dube, the Sisters and Adé Bantu, she’s now carrying out her own projects, and she’ll be presenting us with songs from her new album, “Sister Gwen”, to get our festival underway. Her father comes from Guinea, her mother from the Cape Verde Islands, but Karyna Silva Gomes Cerqueira was born in Guinea-Bissau. 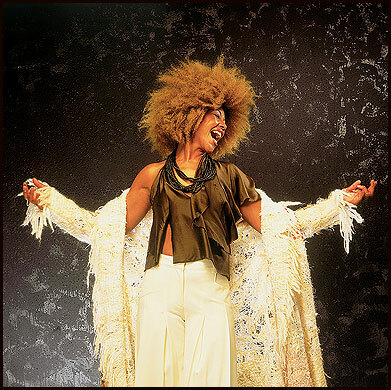 Her first musical steps in the choir of a Gospel band and her membership in Adriano Ferreira’s band Super Mama Djombo were the stepping stones to her solo career. 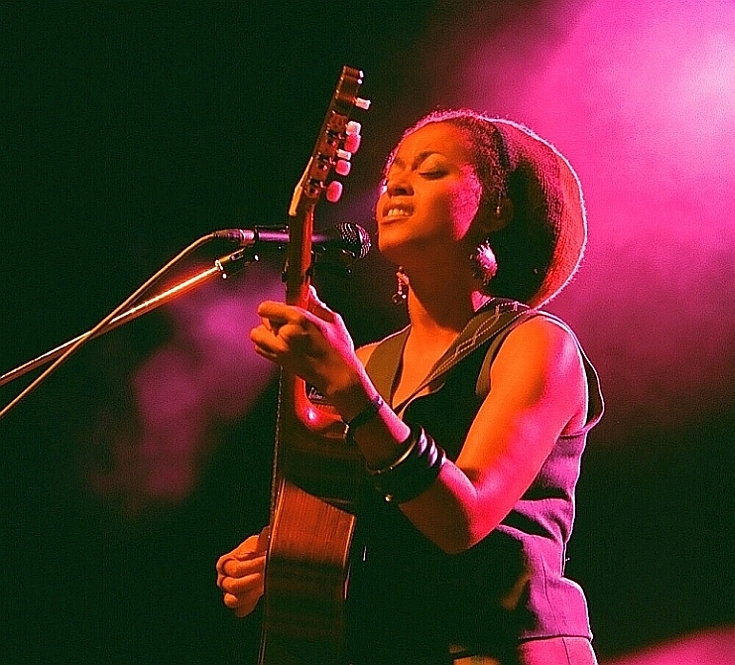 She describes her fusion songs as “My music from Guinea-Bissau”. With her music she will present traditional as well as modern infl uences from her home. The Africa Festival will feature a group from Guinea-Bissau for the first time. When German jazz and blues guitarist Leni Stern performed at the “Festival au Desert“ in Mali she was really smitten. There she played with Salif Keita and Baaba Maal and she was immediately mesmerized by the music, country and people. Later she was introduced to the ngoni by Bassekou Kouyate and his wife Amy Nacko. She learned how to play it and love it. 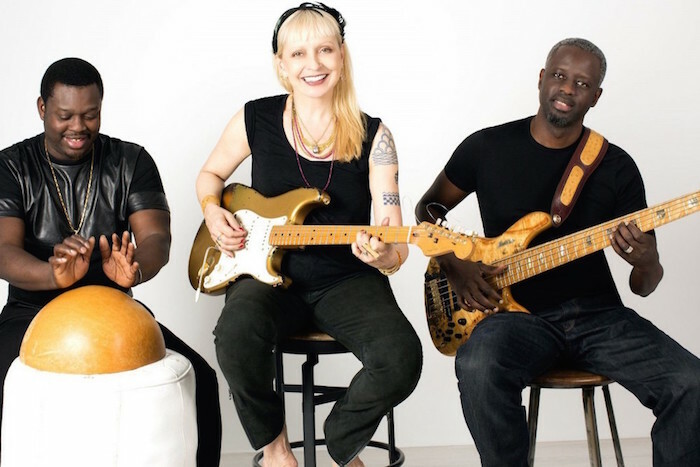 Now she is cooperating with bassist Mamadou Ba and percussionist Alioune Faye and is following the West African roots in a very impressive way. Youssou N’Dour, MC Solar, Meiway, Papa Wemba, Koffi Olomidé or the great Manu Dibango - there is hardly any African artist in Paris who hasn’t worked with this excellent singer and backing vocal. It is no surprise that it is now fi nally time for this singer to go her own way. She will perform her CD “Djaale”, which is sung in Duala, with the sun of her home country Cameroon in her heart for the first time at the Africa Festival. In 2014 she was already celebrated for her fi rst solo CD “Part of me” as newcomer of the year in the German music scene. Her father, the friendly fusion jazz & reggae musician Wally Warning from the Caribbean island Aruba, has already supported her playing the guitar and writing songs early on. Now she is 20 years old and interprets her sensitive acoustic soul and world music folk in the style of Ayo. At the Africa Festival she will perform her new CD which will be released in spring. Diplomatensohn Dominik Haas, alias “Jahcoustix”, war schon in jungen Jahren durch die Tätigkeit seines Vaters als Botschafter stets mit den unterschiedlichsten Kulturen, Menschen und Strömungen in Kontakt gekommen. Ägypten, Ghana, New York, Mexiko und Liberia waren seine Lebensstationen. Mit 19, in Kenia, lernte er den Reggae kennen und lieben. Seine Kooperationen mit den Reggae Formationen Headcornerstone und Dubious Neighbourhood ebneten ihm den Weg, als Solokünstler ebenfalls erfolgreich zu sein. This delicate ball of energy from Warri/Nigeria is not only a gifted song writer and singer but in the meantime she has also turned into one of the most important and infuential voices of the African continent. Whether she appears in talkshow, print media or plays at festivals, her performances are not only about music but also about a message and enlightenment. As a world traveller she lives in Paris, Hamburg or Lagos. Seven years after her first performance at Mainwiesen, the audience can again look forward to listening to this exceptional artist. Rumba is the rhythm oft he black slaves from Africa. The music was created in the black quarters of Havana and Mantanza. Rumba combines music, rhythm, songs, dance and storytelling to form one unit and social event. 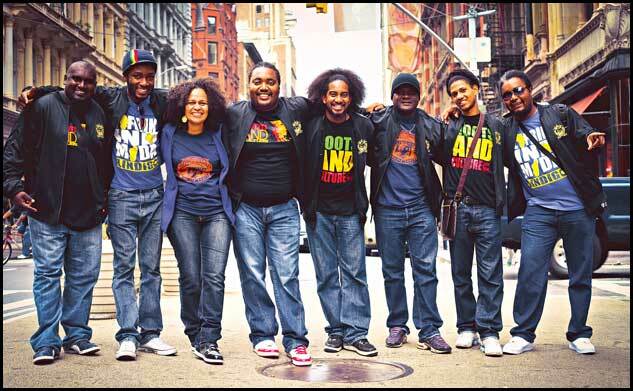 The music group Osain del Monte was founded in Havana in 2013. The musicians come from famous Cuban bands like “Folklorico Nacional“, “Clave y Guaguanco“ and “Yoruba Andabo“. Four percussionists, four singers and two dancers turn the performance into a powerful event! Yaite Ramos is the daughter of Jesus “Aguaje“ Ramos (musical director of the “Buena Vista Social Club Orchestra“). She played the flute and sang for Sergent Garcia and was the lead singer of El Hijo de la Cumbia. Her debut album “Piratas“ (2014) was produced by French beat maker and sound technician Marc Damblé (Sergent Garcia, Amadou & Mariam, Orishas). “La Dame Blanche“ presents urban music which combines rap, reggae and nu cumbia. 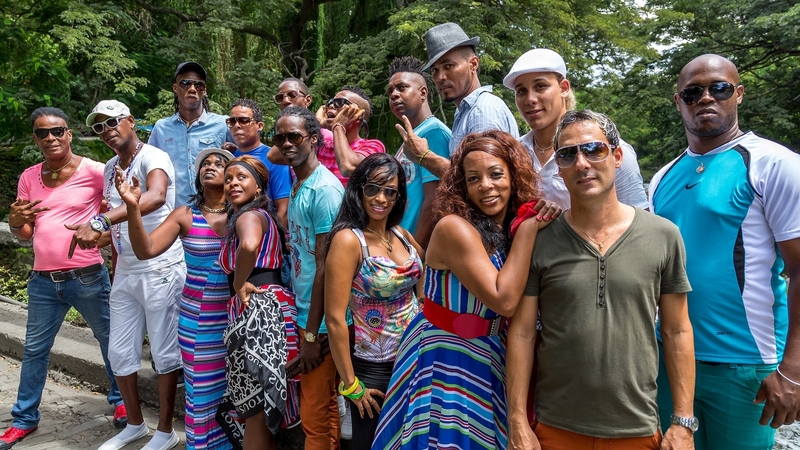 The band ZuleMax consisting of 12 women was founded by Zulema Hechavarria Blanco who is a singer, flute player and percussionist from Santiago de Cuba. A great passion for Cuban music is what connects the women of the band. Besides Cuban salsa the professional musicians also present the musical styles cha-cha-cha, mambo and guaguanco which have enriched the salsa of today. A big set of horns, fiery percussionists, singers and dancers invite the audience to dance along and have an unforgettable party! Would you like to make a trip to the Indian Ocean? Then the 27th Africa Festival is the right place for you. We invite you to come and visit the fairy-tale island of Zanzibar with us. Zanzibar, the place where the cultures of the orient, Asia and Africa come together. It sounds like wonderlust and secrecy, 1001 night, magical dream beaches and the flavour of exotic spices. Zanzibar, indeed is the century old history of the trade between India and Arabia on one side and Africa on the other side. They did not only trade with goods, but tragically also with people, as Zanzibar was one of the main transfer sites for African slaves. But this mixture of cultures also led to beautiful results like the creation of Taarab, a type of music which still exists today in Zanzibar. It includes Indian, oriental and African elements. 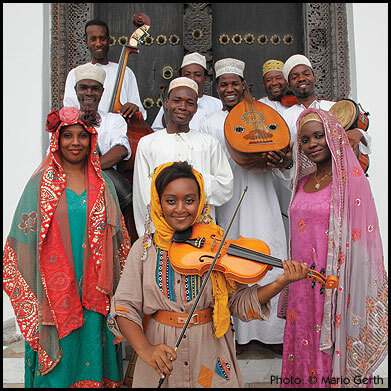 We are delighted to introduce Matona and the Zanzibar Taarab Ensemble – one of the best groups of the genre - which, so far, is still widely unknown. We also take you to this dream island with two photo exhibitions. There will be a special guest of honour, as well: president Dr. Ali Mohamed Shein will come to Würzburg for the opening of the festival. We are particularly thankful for this honour. 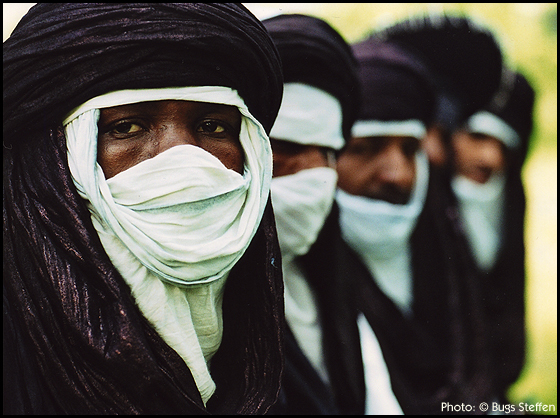 This year, when it comes to music, we take a look at North Africa; especially Morocco. We invited the great singer Oum, who will bring us a special opening night with Klaus Doldinger’s “Passport to Morocco“. 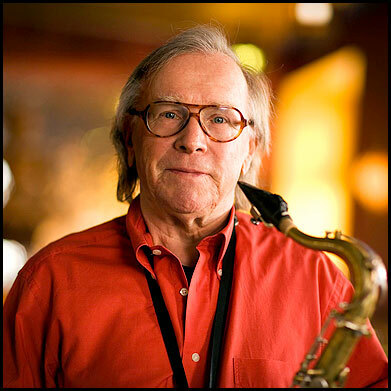 Besides jazz legend Klaus Doldinger, this year the focus will also be on other musicians from Germany. Oud player Roman Bunka, whose music career started in Würzburg, will return to his hometown with his newly formed up Shamandura Project. He also plays guitar for the German world music pioneers “Dissidenten“, which will be accompanied by the Egyptian superstar Mohammed Mounir. At home Mounir’s performances are celebrated enthusiastically by more than hundreds of thousands of fans. But of course you can also look forward to a few new discoveries, which will add a breath of fresh air to the African music. We would like to warmly recommend you to listen to the singers Namyula from Sambia, Shishani from Namibia and Marema from Senegal. You will get much information about Africa and the organisations which work there at various booths. And of course Zanzibar will be introduced there. Television channel ARTE is a partner of the Africa Festival. ARTE Concert will show the most important concerts at: concert.arte.tv. So, look forward to a journey through Africa on which you can experience music from Zanzibar, Mali, Sambia, South Africa, the Cape Verde Islands, Egypt, Namibia, Ethiopia, Ghana and Aruba. For a long time already, singer Oum has captured the hearts of the people in her country and is worshiped like a diva. Now, she sets out to make career in the rest of the world. 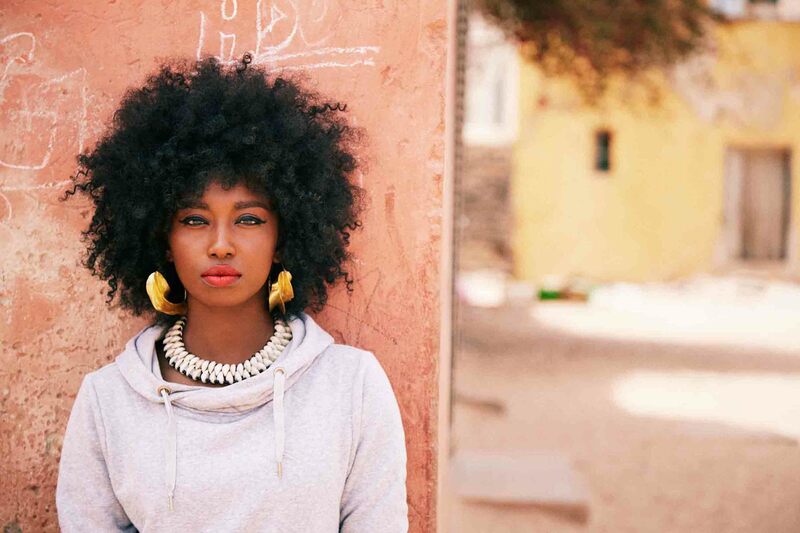 After the successful release of two albums in Morocco, “Soul of Morocco” is her first international album, which is said to open up many doors for her. To Moroccan Gnawa rhythms she adds well dosed sounds of Jazz, a bit of Pop, Rhythm and Blues as well as some Soul and Funk. The studied architect brings the different elements of her genre mix in a stable balance on which her impressive and expressive voice can sumptuously unfold. Oum’s “Soul of Morocco” has got everything to ingratiate in the ear canals. We are convinced that this charismatic singer is going to gain many hearts with her live-performance – the insider tip of this year’s festival. When Klaus Doldinger, together with his project “Passport to Morocco” attended the Africa Festival for the very first time in 2009 – newspapers wrote that “hopefully this wasn’t his last performance at the Africa Festival”. It was with great pleasure that we invited him again for another brilliant concert. That “Passport to Morocco” must be part of next years’ festival was clear very quick - with North Africa being one of the main focuses of our programme. Fortunately, Doldinger - who will celebrate his 79th birthday this year – agreed immediately. He is going to add exceptional Moroccan soloists to his band “Passport” and transports the classic Maghreb sound into the 21st century. An exciting musical adventure is guaranteed. The singer and virtuoso guitarist Moh! 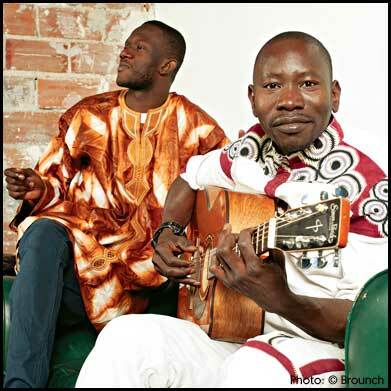 Kouyate was born in Guinea and comes from the tradition of the Griot singers. Moh! developed his very own guitar style which is based on native Mandika rhythms and thus impressed many colleagues. On the current CD of the Malian diva Fatoumata Diawara (Africa Festival Award 2013), he played on several songs – but also the American Blues man Corey Harris recorded some excellent versions of Blues classics together with him. He lives in Paris since 2007 - there he met the singer and songwriter Mariama from Sierra Leone who started her career in the band of Ade Bantu. 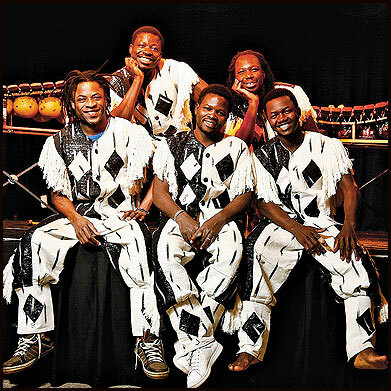 Together they play a modern, global and happy Afropop which goes through ears and legs. Two newcomers who make you wanting more. 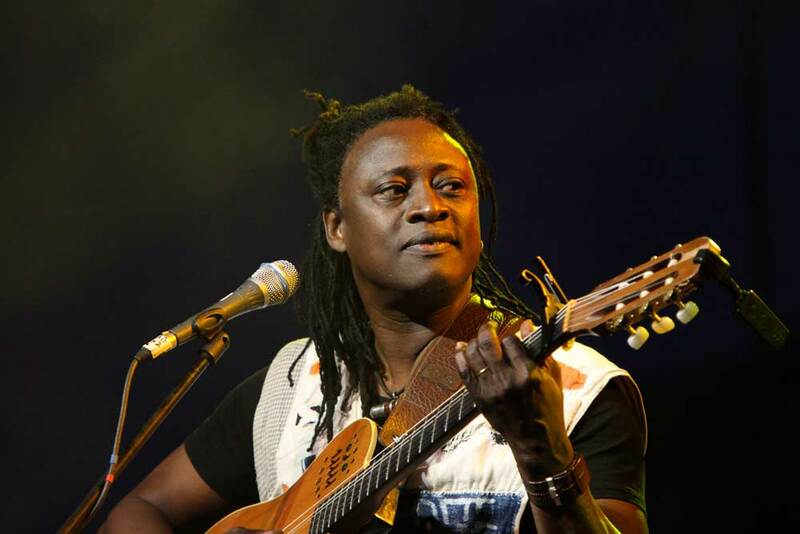 There is indeed a good reason why the singer and guitarist Habib Koite returns to the Africa Festival only two years after his last performance. Meanwhile, he totally rebuilt his band Bamada – which can be heard on his new album called “Soo”. The kora disappeared and was replaced by a banjo and a keyboard which do merge with Habib’s drums and guitar. 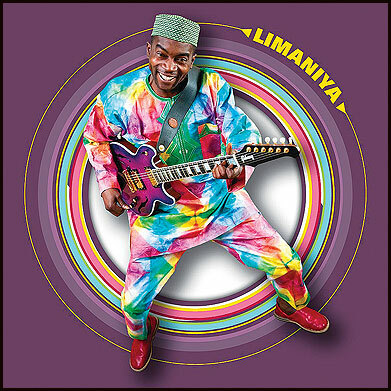 Again, he reunites the sounds of the multi-ethnic state Mali on his new CD – he sings about friendship and friends and calls for a peaceful coexistence, which nowadays is more important than ever after all the recent and past happenings. 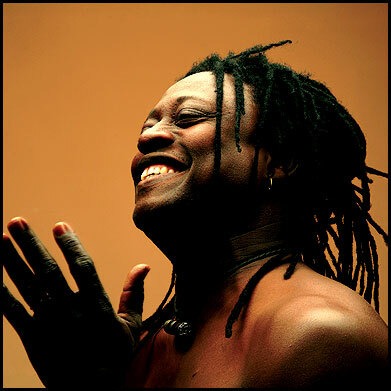 Habib Koite didn’t drastically reinvent his music but decent- and stylishly developed what so many of his fans, all around the world, do love about him. 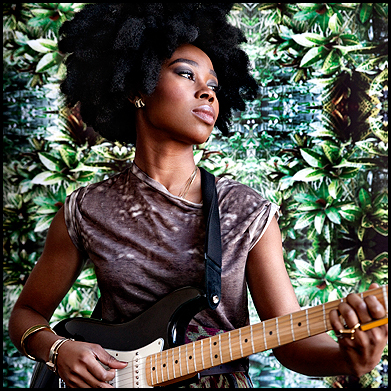 In 2014 Namvula Rennie, a young singer, guitar player and composer, achieved something extraordinary with her CD debut „Shiwezwa": Although she is not widely known yet, the big British newspaper Sunday Times ranked her album seventh among the 100 best records of the year. Back then Namvula was overwhelmed and posted this message on her Facebook page:„ohmygodohmygodohmygodOHMYGOD!!!!" 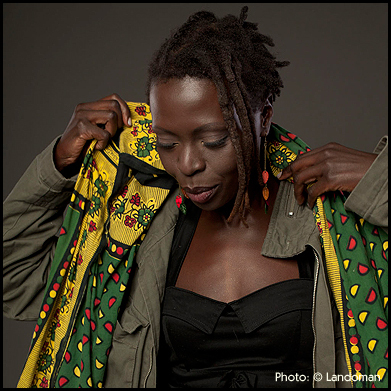 Her remarkable style, which includes a lot of African vibes from her home country Sambia, some Jazz and Latin, as well as European folklore, is infectious when you hear it for the first time.We are delighted to present her first concert in Germany and sure that she will continue on her way. An insider's tipp of the Festival. 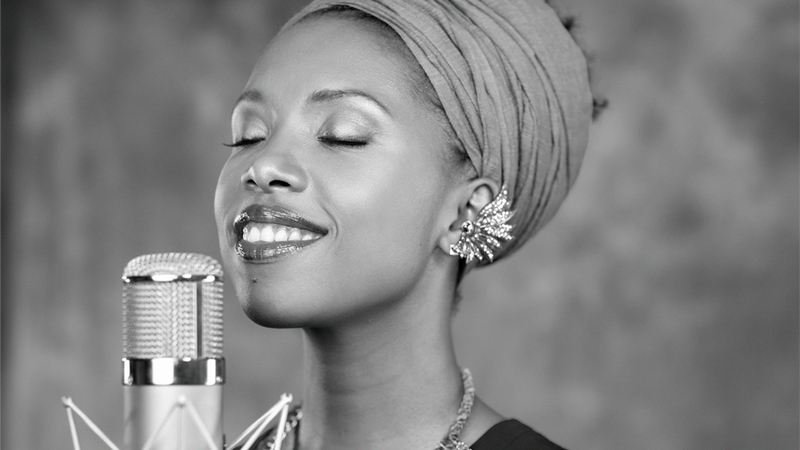 For some she is the successor of Miriam Makeba, others praise her as the South African Beyoncé. 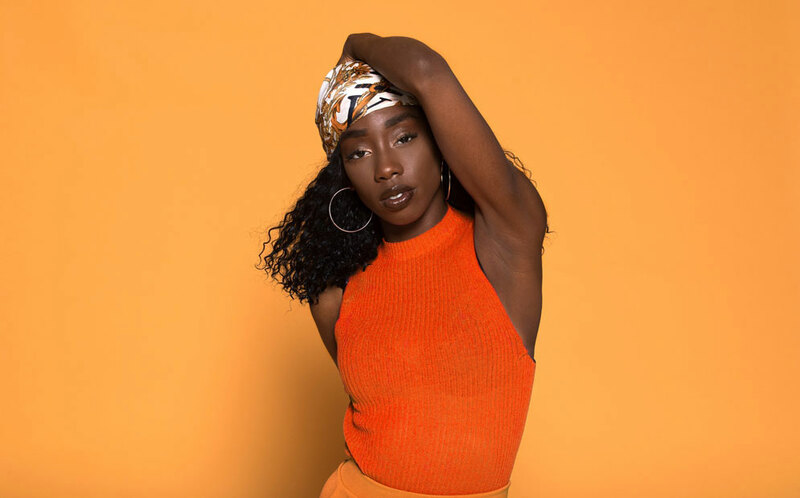 Singer Lira can't be categorized easily. Afrojazz, Rhythm and Blues, Soul, but also Pop - nothing is foreign to her and she isn't afraid of new things. For this approach she is celebrated in South Africa and also internationally. In 2010 she performed a touching version of „Pata Pata" with Hugh Masekela at the opening ceremony for the Football World Cup. For her last CD she was honoured with many awards. But Lira is not only a charismatic singer of the post-apartheid generation, she is also politically active. 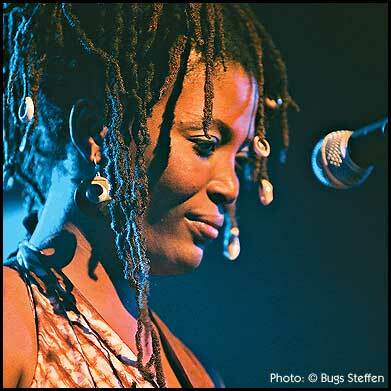 In Würzburg she was already celebrated enthusiastically at the Africa Festival in 2009. 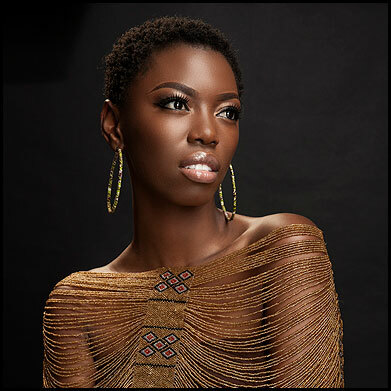 Welcome back, Lira, the Queen of Afrosoul. The motley crew of six from Morocco belong to the protagonists of a recently very popular type of music – the Gnawa Reggae. The rather tranquil dance sound of the Gnawa gets spiced up with reggae rhythms. In addition, the people of Bob Maghrib add a very special note: They exclusively play songs of the reggae icon Bob Marley. To do so, they use traditional Moroccan instruments as for example a Ribab (a kind of one-stringed violin), an Oud (Arabic sounds), a Guembri (Gnawa sounds) or the Ghaita (an oboe-like wind instrument). That might seem and indeed is bizarre, but sounds fantastic and has a high fun factor. The first song, which the Cape Verdean singer Mo’Kalamity wrote and recorded, had the significant title “Africa”. 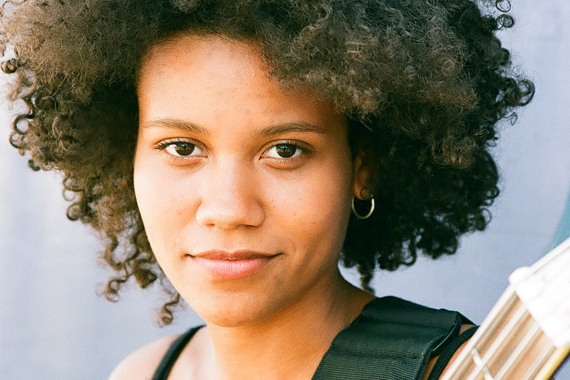 When still young, she moved to Paris and brought along her musical African heritage. 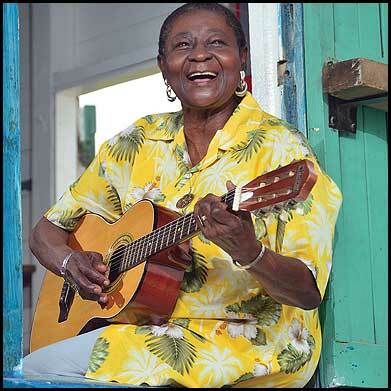 Fascinated by Caribbean and African-American sounds, she soon felt attracted by reggae. In 2004, after she had collected her first experience as a background singer, she founded her own band - “The Wizards”. 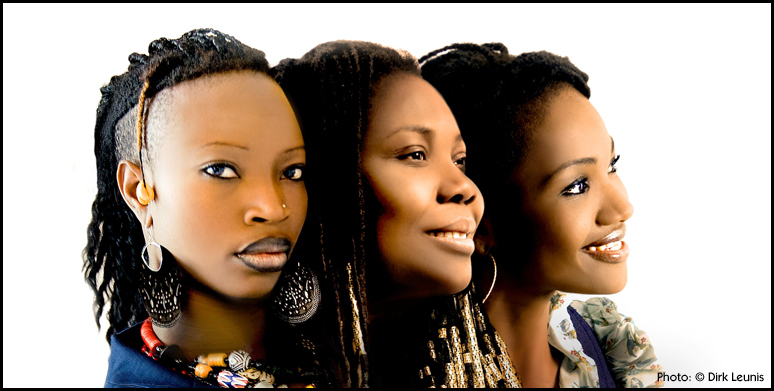 At many festivals, the collective quickly made itself a name, as front women are rather an exception in reggae. They will present their new CD – “Freedom of the soul” – at the Africa Festival. When it comes to the music of North Africa, we simply had to invite the oud virtuoso with a Würzburg background again. This time his Shamandura project performs as a trio and will open the festival by presenting the music of the Nile valley. 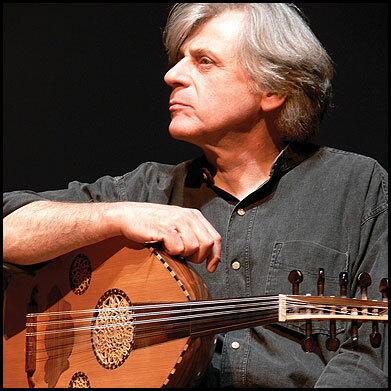 Roman Bunka will be accompanied by the Sudanese percussionist and oud player Mohamed Badawi as well as the Egyptian percussionist Ayman Mabrouk. The composer and musician Matona comes from an old family of musicians. His father and grandfather have already been well-known oud players in Zanzibar. Together with 9 musicians of the Dhow Countries Music Academy, Matona is going to present the traditional Taarab music. In addition to the oud, you can hear the Egyptian zither, violin, accordion, flute and percussion instruments. The singers Amina and Mariam also present songs from the times of the sultans in Zanzibar. 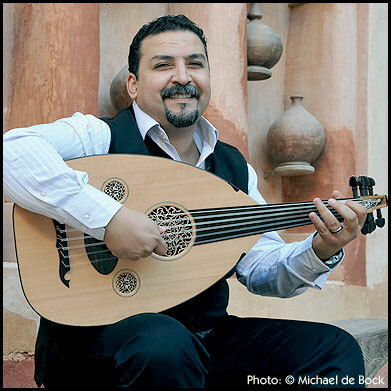 It is not without good reason that Driss El Maloumi from Agadir is also called the “Oud magician”. When the Moroccan plays the Arabic lute it sometimes actually borders on magic. With his trio he interprets the traditional music of Morocco, which also includes flamenco elements, in a modern context. Thus it is indeed possible that the sound of the Berbers can meet jazzy tones. She was born in a small town in the Southern part of Morocco called Ouled Teima. When she was still young she and her family moved to France. There she learned to play clarinet and that’s how she discovered Jazz. On her second CD “Berber Taxi“ she explores the depths of her Moroccan musical heritage, especially her Berber roots. CNN International called her “Morocco’s Jazz Jewel“. The Dissidenten were already playing the world beat when the term didn’t even exist yet. As one of the first European bands they explored the North African space of sound, where they became famous with songs such as “Sahara Electric” or “Telephone Arab”. With the singer Mohamed Mounir they bring along a true megastar. In his home country the Egyptian performs in front of hundreds of thousands of fans who named him “King of Kings”. Mounir has managed to unite the traditional music of Egypt with Western pop. 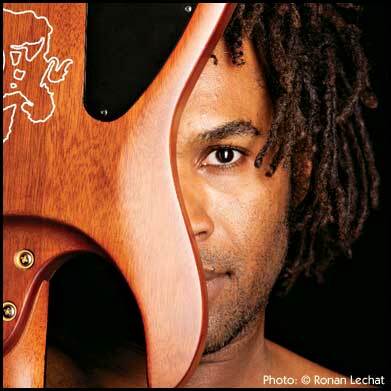 For many years, the guitarist of the Dissidenten, Roman Bunka, has been a permanent member of Mounir’s band. 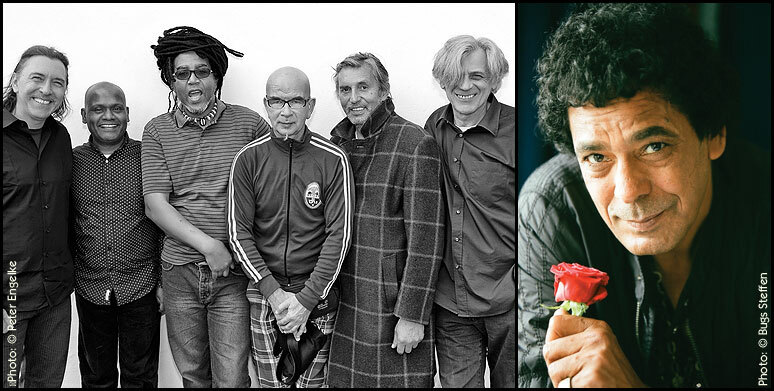 Dissidenten and Mounir – an inspiring encounter for the fans of North African music. 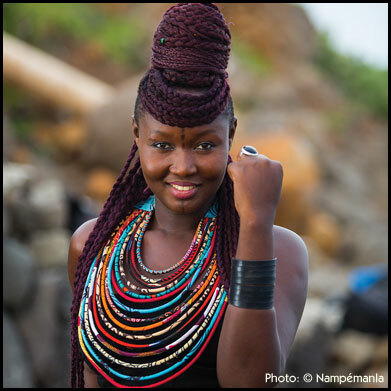 Shishani is a young singer from Namibia, a country that has not been featured too often at the Africa Festival yet. 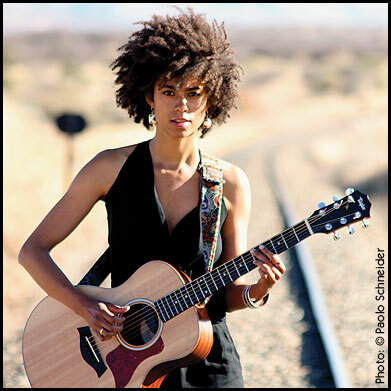 With a soulful voice she presents urban Afro-folk and also includes political matters into her songs. This is reminiscent of Nneka or Tracy Chapman. Although the Senegalese Marema has only published a few songs yet – she won the first prize as Africa’s best female newcomer last year. The prize is awarded annually by the French radio station RFI, which gives listeners as well as a panel of experts the decision-making power. Marema immediately convinced with her song “femme d’affaires”. 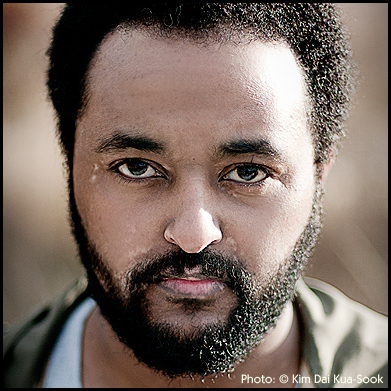 Minyeshu, an Ethiopian singer and dancer who has been living in Europe for some time, already performed at the Africa Festival in 2004 and 2009. Since then the exceptional performer has again evolved quite a bit, as her latest CD “Black Ink” proves. Each song is unique and Minyeshu shows how she can combine both musical worlds, in which she lives, in style. It is not an arbitrary style mix of Ethiopop, Funk, Blues, Jazz and Pop, but an independent musical language. A warm earthy voice is the trademark of the Ghanian singer-songwriter Adjiri Odametey. This voice combined with the sounds of native African instruments, including kora, kalimba, mbira and balafon, captivates listeners. “As an ambassador of authentic African music, Adjiri effortlessly succeeds as a crossover artist“ writes the German Newspaper Süddeutsche Zeitung. Wally and Ami Warning are father and daughter. Wally comes from the Caribbean island Aruba, his daughter Ami grew up in Munich where both of them live today. Wally is a very talented musician who is able to play a large number of various instruments. Ami sings, plays bass and guitar. She is currently being celebrated for her debut album “Part of me” as newcomer of the year 2014. Both understand each other implicitly and their melodious songs invite you to dream and relax. As a member of the group Adesa, Papa Julius has already been a part of the Africa Festival for a long time. This year he is going to present his very own band Zion Nexus and the compositions of their new album called “Mango Tree”. These original pieces of music are based on reggae, ragga and dancehall and draw their spiritual strength from the roots of the Ghanaian joy of life and the energetic soul of West Africa. Main focuses of the festival 2012 are the Cape Verde Islands and Senegal - two neighbours, which have developed very different cultures (for further information go to page 32). Adequately, the university tent will give an overview of the historical development and cultural diversity of both African republics. Also the ARTE movie tent will offer a daily selection of movies about the Cape Verde and Senegal. Furthermore, the Senegalese fashion designer Madame Rama Diaw NʼDiaye will present her fashion line “made in Africa” in line with a daily fashion show at the bazaar. She will also intro duce her praiseworthy social project “Aissatou” which is supported by the Africa Festival as well. Besides the music of both theme countries, various music groups, amongst others from Aruba, Burkina Faso, Gambia, Ghana, Jamaica, Mali / Cuba and North Africa will perform this year at the festival. Along with these musicians are interesting new discoveries like YʼAkoto from Ghana/Germany, Sona Jobarteh, the first female Kora virtuoso from Gambia and Aurélio Martinez with his Garifuna Soul Band. Aurélio Martinez is not only a musician but also Member of Parliament and fights for the rights of the Garifuna, the descendants of African slaves who now live in Belize and Honduras. Once again the TV station ARTE is media partner of the Africa Festival. Just like last year all evening concerts of the festival will be recorded and will be available to view at “ARTE Live Web” online at www.liveweb.arte.tv. This year the Africa Festival will provide regional initiatives with a forum to present their activities and projects in Africa to a wider audience. For instance, the Bavarian football association, district of lower Franconia, will offer goal wall shooting in order to support their social project in Mozambique. We highly recommend visiting our photo exhibition “Sons & Daughters of the Wind” by the renowned photographer Mario Gerth. 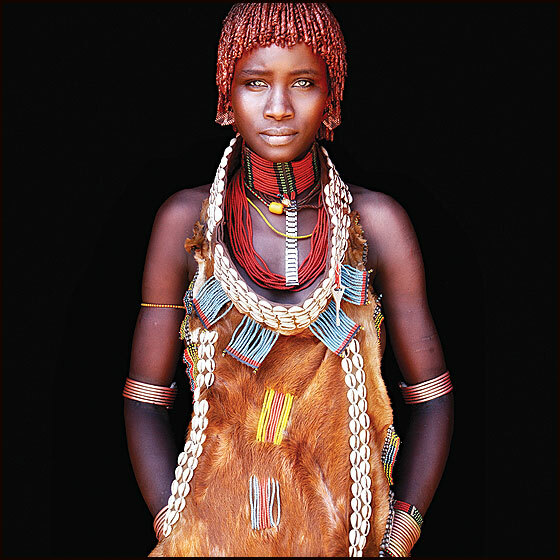 The exhibition is about the last nomads of Africa and breathtaking pictures will be displayed. An unmissable tribute to Africa and its peoples! We invite you to join us to a colourful journey though the music and cultures of Africa and the Caribbean and wish you all and ourselves a peaceful festival with many interesting and exciting encounters. 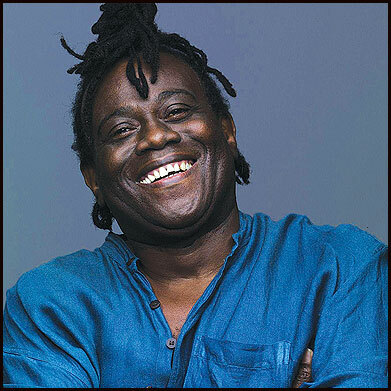 The singer and composer Omar Pene was born in 1956 in Dakar and is one of the most important Mbalax singers in his home country Senegal. He is seen as a legend and his voice is considered to be one of the most beautiful ones of the entire world music scene. In 1974 he founded his band Super Diamono de Dakar. Omar Pene influenced west - African pop music at least as heavily as Youssou NʼDour. 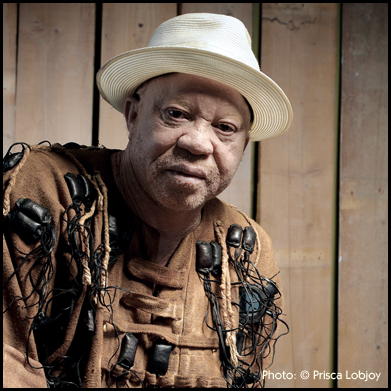 It is also NʼDour who, jokingly, described him as his ʻrivalʼ, but also calls him a living legend of African music. Omar Pene mixes the classical Mbalax style with elements of jazz, reggae and salsa, which makes his music sound quite divers. 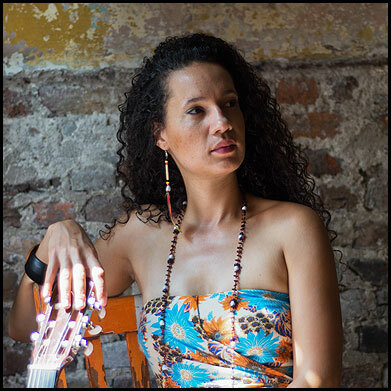 Sara Tavares is a discovery of the Africa Festival. She had one of her first bigger performances in 2001 in Würzburg, where she always enjoys returning to. 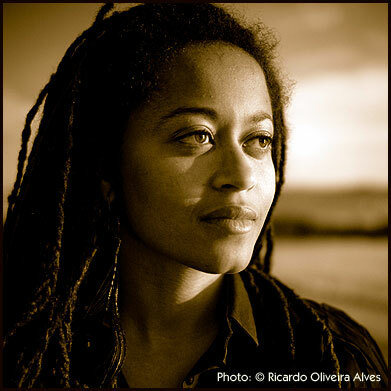 The musical roots of the in Portugal living singer are placed on the Cape Verdean Islands, the native country of her parents. The islands also play a major role in the inspiration of her music. 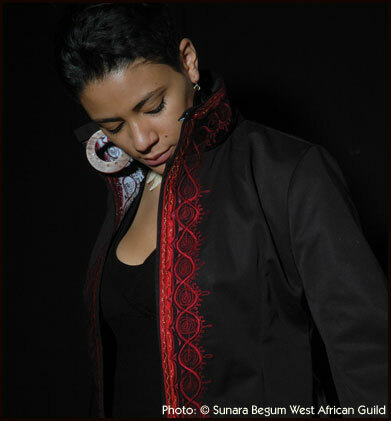 Besides the Morna, the blues of Cape Verde, and the Fado, the blues of Portugal, Sara Tavares works with elements of pop, soul, jazz and African rhythms to create a unique and distinctive style of music. Her most recent album “Xinti” is a proof of how well she has perfected this style mixture. YʼAkoto, the daughter of a Ghanaian father and a German mother is a true cosmopolitan. Born in Hamburg, raised in Ghana and after a few stopovers in Cameroon, Togo and Chad, she now calls Hamburg her home again but still remains a restless wanderer between cultures. For her first album called “Babyblues”, which despite the title has a very grown up sound, the singer has composed all the songs by herself. On her album YʼAkoto reveals what moves her, for instance, her touching song “Tamba” in which she sings about the fate of an African child soldier. The music of the 23 year old gets under ones skin. This year's insider tip of the festival! 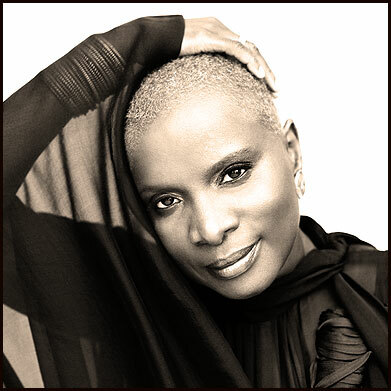 For many Angélique Kidjo from Benin is considered to be the new “Mama Africa” since Miriam Makebas death. After all, with her current stage show she is keeping the great musical heritage of the charismatic Grande Dame of African music alive. Her performance “Tribute to Miriam Makeba” was a major success at the world - famous Montreux Jazz Festival in 2010, where she celebrated the songs of Makeba with numerous guest performers. One of these guests was the South African songwriter Vusi Mahlasela, whom in addition to the members of the Makeba-Band Angélique Kidjo will bring along to the Africa Festival. Other surprise guest performers may be expected. Sona Jobarteh from Gambia is the first female African virtuoso on the kora, an instrument which is usually only played by men. 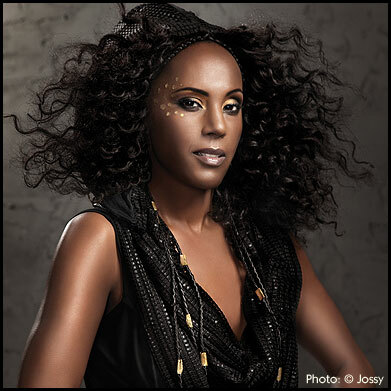 Sona Jobarteh is the grandchild of a well known griot and the cousin of Toumani Diabaté. 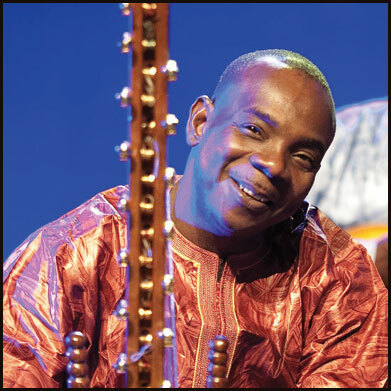 Diabaté is the world wide most well known kora player and will perform at the 24th Africa Festival with “Afro Cubism”. 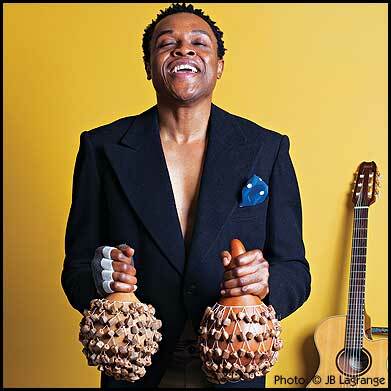 Jobarteh studied at the Royal College of Music in London and was part of many orchestra projects. 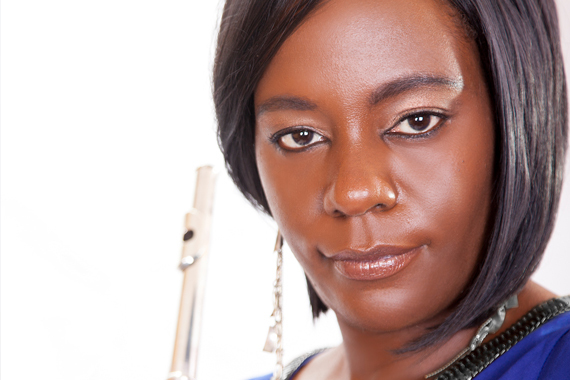 She is also a member of the African Classical Music Ensemble. 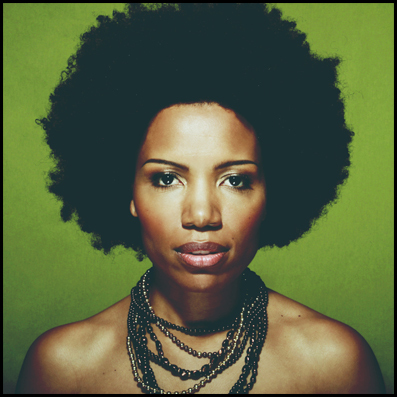 In 2008 her debut album “Afro Acoustic Soul” was released and recently, her new CD “Fasiya” has hit the stores. On her new album she not only plays the kora, but also guitar, bass, percussions and the calabash and of course she sings as well. Die 13-köpfige Allstarband „AfroCubism” besteht aus Superstars der afrikanischen und kubanischen Musikszene. Eigentlich hätten der Kora-Virtuose Toumani ­Diabaté aus Mali und der kubanische Sänger und Gitarrist Eliades Ochoa die Basis für das werden sollen, was 1996 als Buena Vista Social Club weltweit für Furore sorgte. 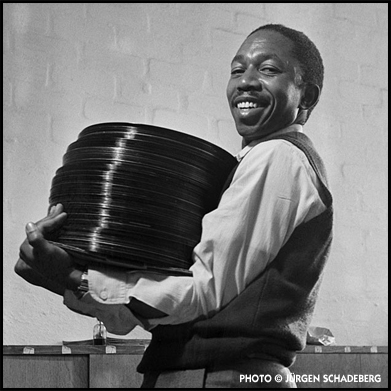 Doch scheiterten die in Kuba geplanten Aufnahmen damals an Visaproblemen der afrikanischen Musiker. 2010, also 14 Jahre später, fand die transatlantische Begegnung zwischen Mali und Kuba dann doch noch statt und der eigentliche Buena Vista Social Club erobert seither als „AfroCubism” die Bühnen. Feuriger Rumba und Son treffen auf filigrane Soundmalereien aus Mali. 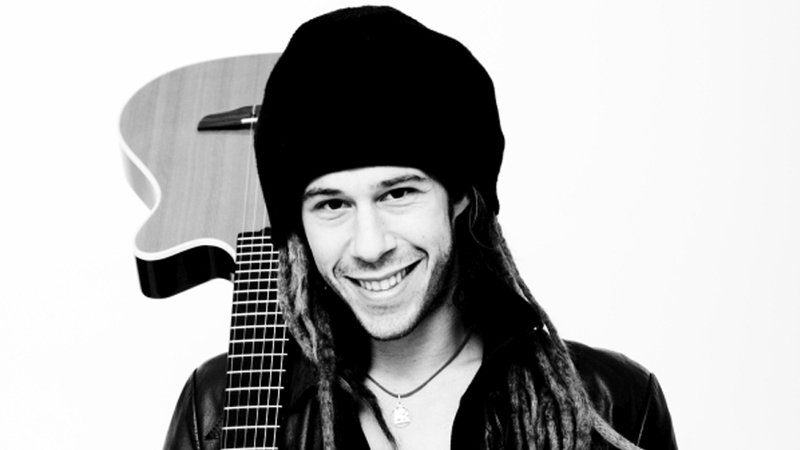 Sebastian Sturm took the reggae scene by surprise in 2006 with his debut album “This Change is nice”. Since then a lot has changed for Sebastian Sturm who is originally from Aachen and has a German-Indonesian background. He has remained true to his roots reggae background for his current album “Get up and get going”, but has also opened up to new influences. This is also due to his band “Exile Airline”, whose musicians have given the tone of the album a notable new distinction. The album title will also be the theme of the evening: Get up and get going! After Bob Marleyʼs wife Rita and his sons Julian and Damian another offspring of the reggae icon will perform at the Africa Festival. 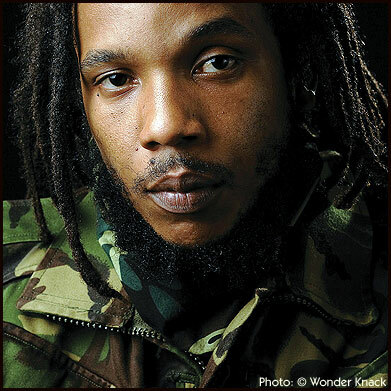 Born in 1972 Stephen Marley is a musical all-rounder. He is not only a musician and composer, but has also contributed as a producer to important and successful records like the Grammy awarded cooperation between his brother Damian and rapper Nas. In 2007 Stephen released his first solo album called “Mind Control”, on which he combines roots - reggae with modern ragga sound. His second album “Revelation Part 1: The Root of Life” followed in 2011. Modou Seck has been taught the art of playing Sabar drums by the master percussionst Doudou NʼDaye Rose and even accompanied him at his tours. Seck was born in Dakar / Senegal into the caste of Griots. He was a member of the national ballet and teacher for rhythmic education for children and teenagers. Since 1989 he has been successfully on tour with various music formations like Tam Tam Magic. 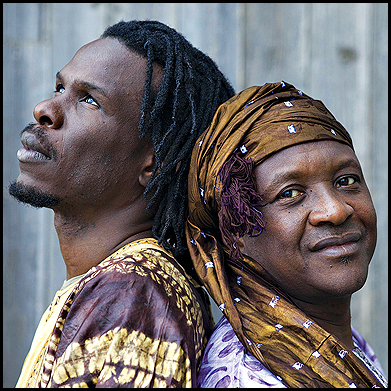 Moudou Seck and Tam Tam Magic will perform together at the 24th Africa Festival. Manuel Lopes Andrade was born in 1973 and belongs to the upcoming Cape Verdean musicians who are going back to the Afro roots of the island inhabitants. Already as a young man he started to revive the traditional music by grounding and experimenting with it at the same time. 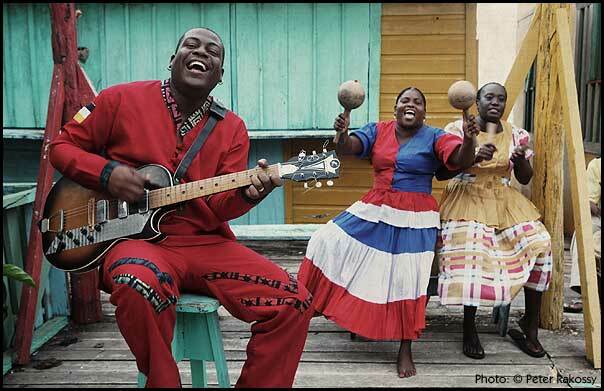 His trademark is the Batuque music of former slaves and he is also an excellent guitar player. His current album “Dor de Mar” was highly recommended by the British world music magazine “Songlines”. The Trio uses African Mandingo sounds and combines them with the freedom of Jazz. 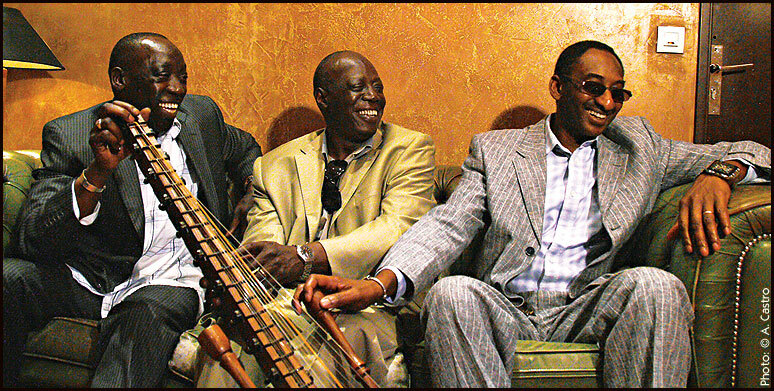 The Senegalese pianist Abdoulaye Diabaté, the percussionist Moussa Cissoko and the Kora player Djeli Moussa Diawara from Guinea, a half brother of Mory Kanté, are leading the Jazz back to its African roots and let their musical passion lead the way. “Shamandura” are the marks at the Nile banks, named by Nubian skippers who use them to navigate through dangerous currents of the Nubian Cataracts. North African rhythms, played by the drummers Rhani Krija from Morocco and Lassad Hosni from Tunisia, are the musical marks at the project of the oud-virtuoso Roman Bunka. The project is complemented by saxophonist Roland Schäffer. 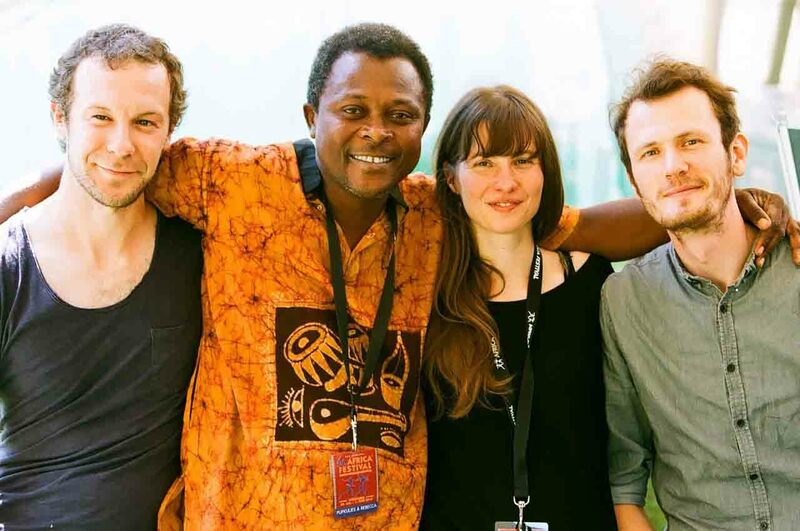 It is no coincidence that the jury from Radio France International, chaired by Richard Bona, has awarded the singer Sia Tolno as the best musical Newcomer from Africa. The singer with a strong and warm voice says about herself: “I am a rock nature” Nevertheless, she uses traditional African instruments in her music. Sia Tolno is known for her power on stage, which she uses to interpret songs with elements of Rumba, Reggae, Soukous and Afrobeat. 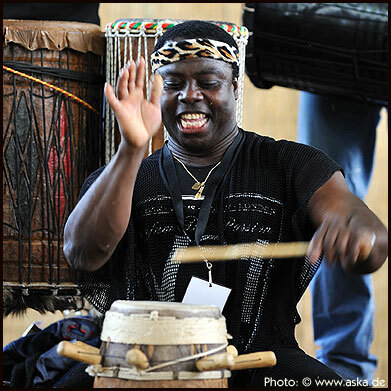 As buzzing as the activities on a West African market place is the music of Mamadou Diabaté and his Percussion Mania. Melodic playing of the balafon, powerful rhythms and African vocals will create a great atmosphere on stage and among the audience. 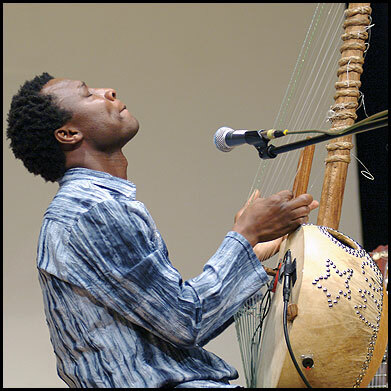 Balafon virtuoso Mamadou Diabaté from Burkina Faso will be accompanied by five fellow countrymen who master various percussion instruments. 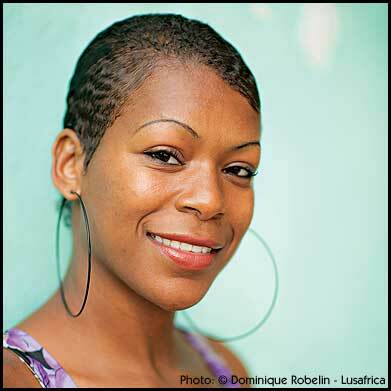 The singer Fantcha is from Mindelo, the Cape Verdean islands and grew up in a family which was very much into music. Instead of playing with dolls, like other girls, she preferred making music with her brothers. Already in her early years she was very active at the Cape Verdean Carneval. Later on she met Cesária Évora, the recently deceased Grande Dame of the Cape Verdean scene. Fantcha pursues the tradition of the music of the Cape Verde with the influences of Africa, Cuba and Portugal. Raised with the music traditions of Burkina Faso the charismatic guitarist and singer Bebey Prince Bissongo broadens the rhythms of his childhood by adding jazz, blues, rock and funk into his music. It proofs him to be a worthy successor of his father the “emperor bissongo” who made many audiences dance back in the seventies and eighties. The reggae singer Wally Warning is from the small Caribbean island Aruba. He feels at home on many stages around the world and in 2007 he created the summer hit “No Monkey”. It is the mix that makes him special: Whenever Wall Warning, singer, guitarist and bassist hits the stage he manages to carry his passion for music over to the audience. Wall Warning is not only a dedicated wanderer between worlds; he has created a “world music” which does not fit into any categories.